New Customers Only. 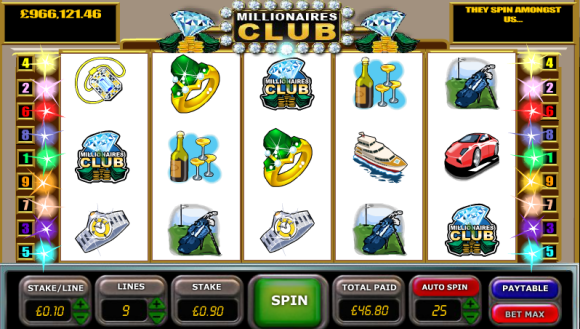 Create your account and deposit funds. 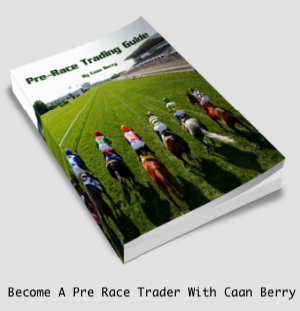 Find the market you want and place your first bet. 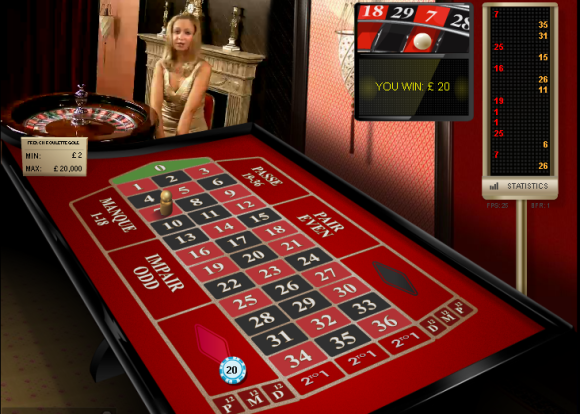 If that bet loses, we will refund your stake as cash up to a max of £20. Refunds applied within 72 hours. The bet must be placed and settled before 23.59 GMT March 19th 2019 to qualify for the refund. And if that wasn’t enough then they offer some of the lowest commissions around so maybe this plan D will soon become your plan A! 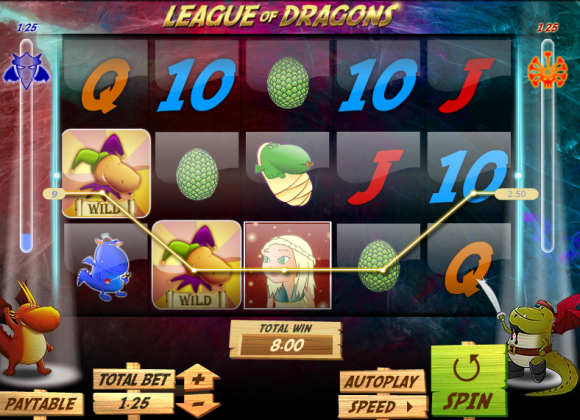 This promotion is available to new customers only, who register a new account on Matchbook.com or through one of our native mobile applications from March 8th 2019 (the ‘Promotional Period’). The promotional period begins at 00:00 GMT 08/03/2019 and runs until 23:59 GMT 19/03/2019 (“Promotional Period”). 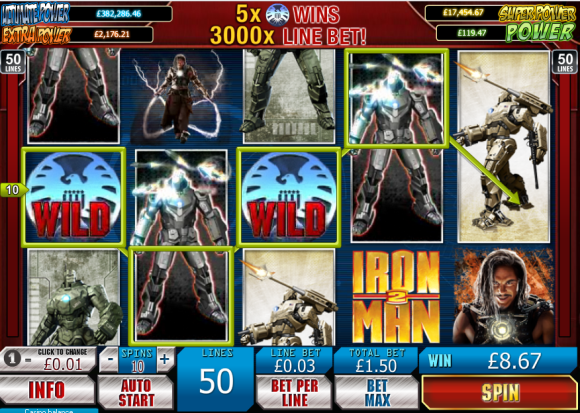 New customers who create an account and deposit during the Promotional Period can place their first bet on any market on Matchbook. 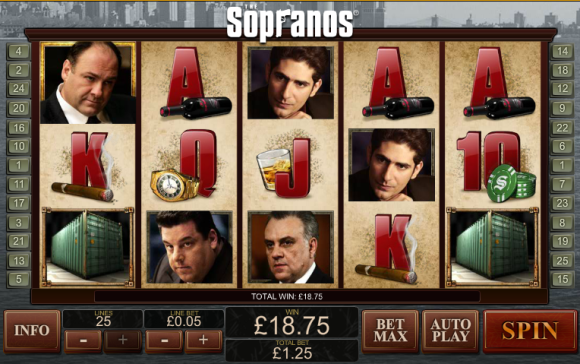 If the bet loses, Matchbook will refund the stake in cash to your Matchbook account up to a maximum of £20. 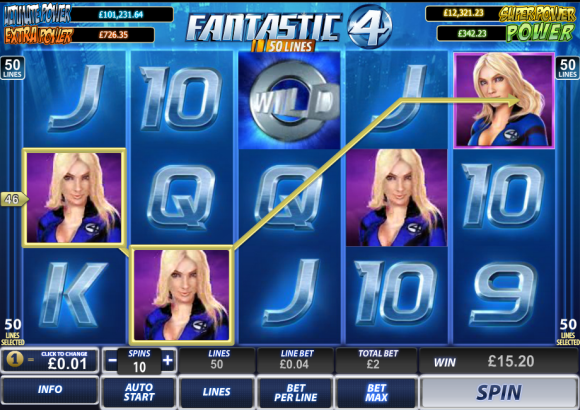 This promotion only applies to the first bet placed and matched during the Promotional Period. The bet must be placed and settled before 23:59 GMT 19/03/2019 to qualify for the refund. 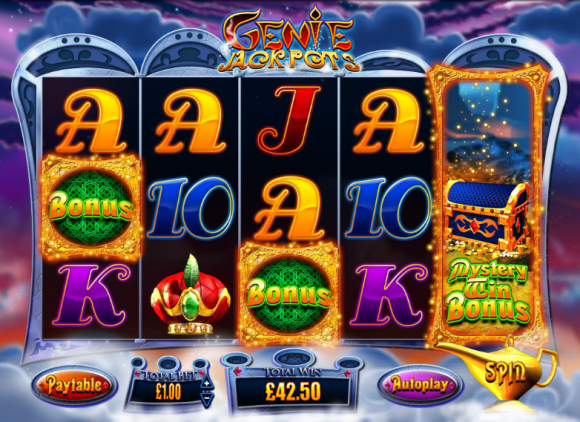 The maximum refund that can be paid is £20, and payment of the refund will be made in the currency of the customers Matchbook account. Therefore, customers with a Matchbook account in EUR or USD will receive the amount €20 and $20 as applicable. 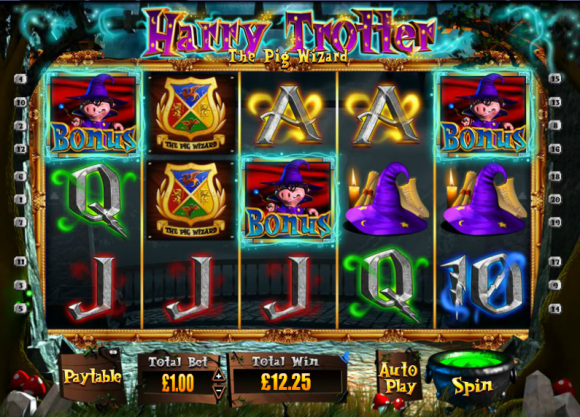 Users making their first deposit by Skrill, Neteller or PaySafe card will not qualify for this promotion. 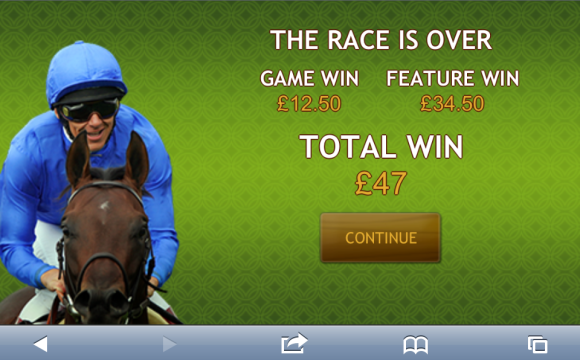 Back and Lay bets placed on the same runner will not qualify for the offer. Any bets placed, and/or any bets settled outside of the Promotional Period shall not qualify for this promotion and shall be deemed void. 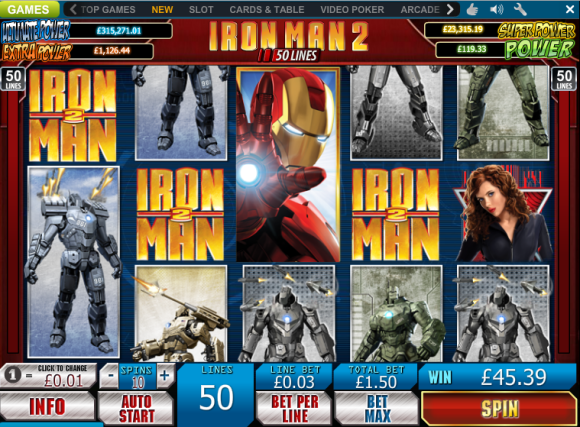 This promotion only applies to Matchbook customers who place bets using the Matchbook Exchange interface only. 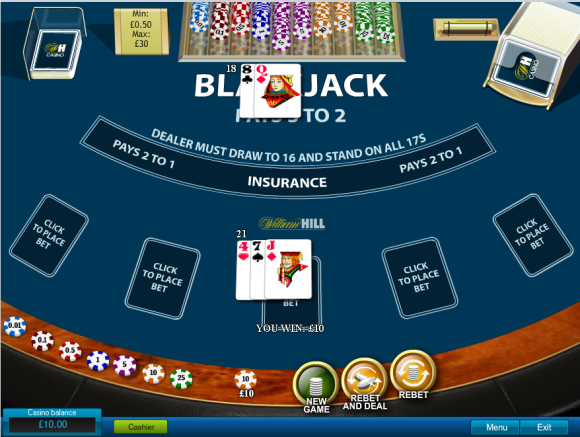 Customers funds can only be risked on the Matchbook Exchange and cannot be risked against your own account. 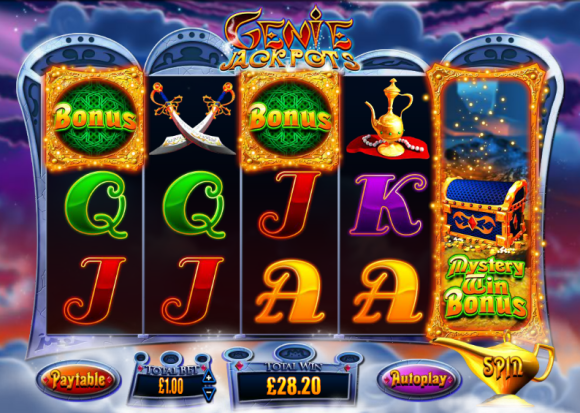 The Refund:(a) is non-exchangeable and non-transferable; and (b) will be credited to your Matchbook account within 72 hours of the bet being settled. Matchbook shall not be liable for any delays in payment or for non-payment of the Refund which is not within Matchbook’s control. This offer is not open to customers from Montenegro, Serbia, Armenia, Bulgaria, Belarus, Croatia, Hungary, Latvia, Macedonia, Moldova, Romania, Russia, Tunisia or Ukraine. 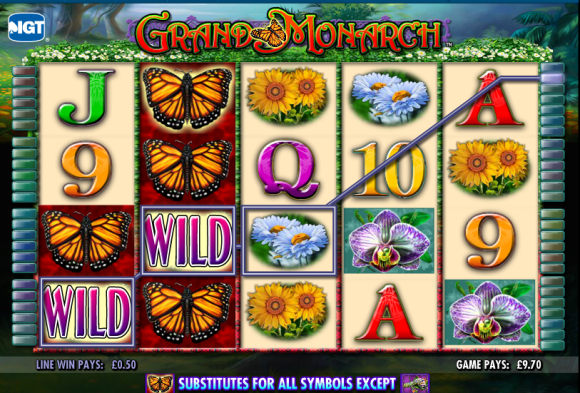 By participating in this promotion, you represent and warrant that it is not illegal in your jurisdiction of residence to do so or to play on the Matchbook Exchange, and that you will not use the Matchbook Exchange while located in any jurisdiction that prohibits the use of such services. Participation in this promotion is subject to you being 18 years of age or older, or being the age of legal consent for engaging with the Matchbook Exchange services under the laws of the jurisdiction in which you are located whilst using the Matchbook Exchange, whichever is the higher. 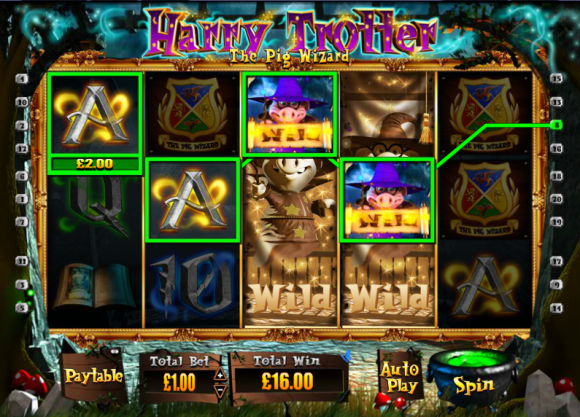 The promoter of this offer is Triplebet Limited, and players are subject to Matchbook’s general Terms and Conditions. 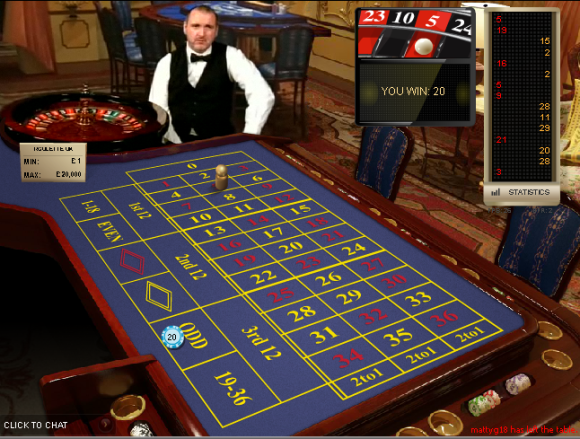 In the event of any dispute, Triplebet’s decision is final in all matters. 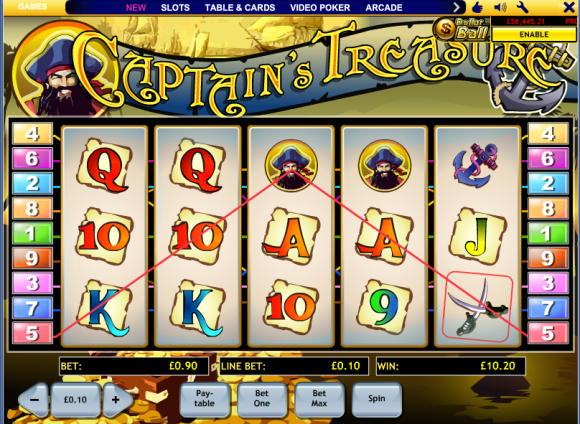 Triplebet Limited reserves the right to amend these promotional terms and conditions, or terminate this promotion at any time. There are so many options open to you when you have the right tools at your disposal. A cracking little offer has come to our attention over at NETBET and one which we are are sure will allow all visitors to Copa load of nice profit in the next few days. Look….. Throughout the quarter-finals and semi-finals of the Copa America, NetBet Sport offers you the chance to get cashback on losing bets in EVERY SINGLE GAME where penalties are needed to decide the match! And remember there is on extra time in these games for a draw in 90 mins and it is straight to penalties! So if you already have an account with these chaps then you are good to go. 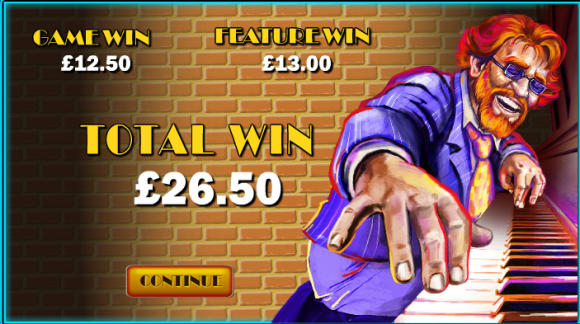 If not then we would strongly suggest you grab an account today & you can also collect a free £50 sign up bonus & a free £10 mobile bet too plus we have been getting even more offers from these chaps all year long so well worth joining. And if you need any suggestions of either the signup or indeed the Copa America offer then please feel free to drop us a line, info@bet72.com anytime. Personally am leaning towards the 4 favs in these games as all their odds are nicely above 1.5. So if I don’t get chance to trade them then I think I will underlay the fav and lay the draw to give me a risk free shot at them winning in 90 mins. 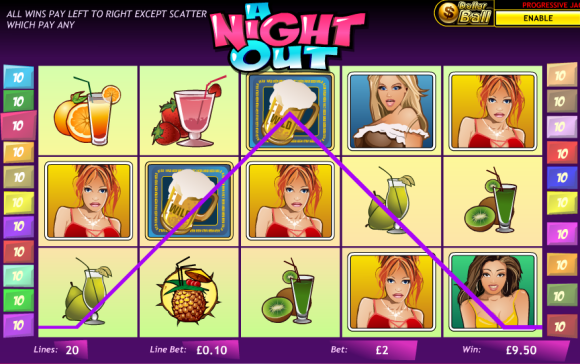 Needless to say we have NETBET included in our Oddsmatcher software, so what are you waiting for! 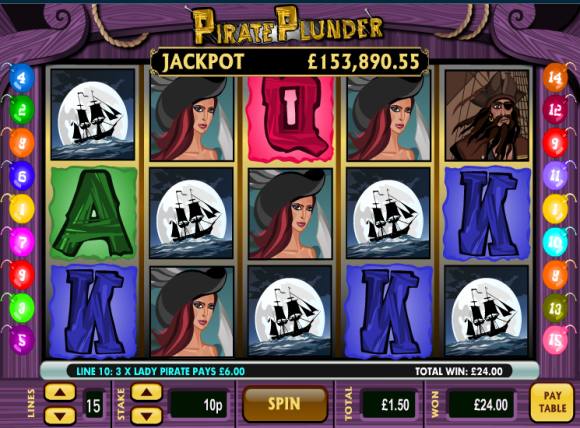 Just click here to get started…..
Players must opt in using the register button before 23:59 (GMT) on 30/06/15 to receive their bonus. Failure to do this or failure to adhere to the other terms and conditions will result in the bonus not being credited. 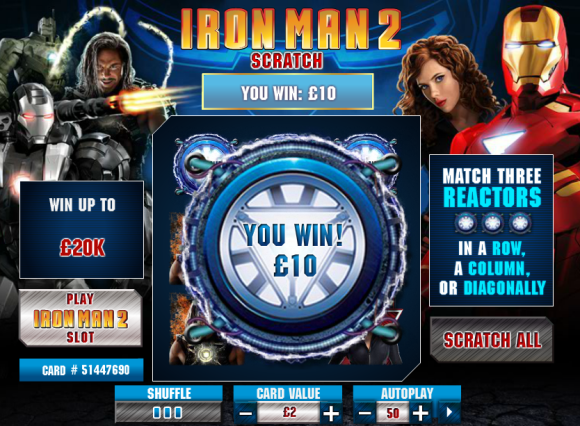 Your largest losing eligible bet will be refunded up to £50 for each match. 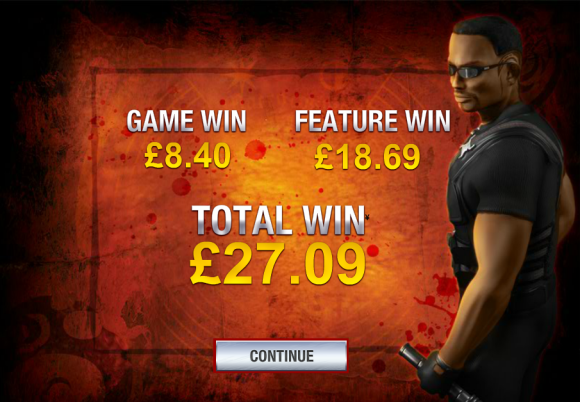 Bonus amount will be rounded to two decimal places. Your bonus will be available to use for 30 days upon receiving it. 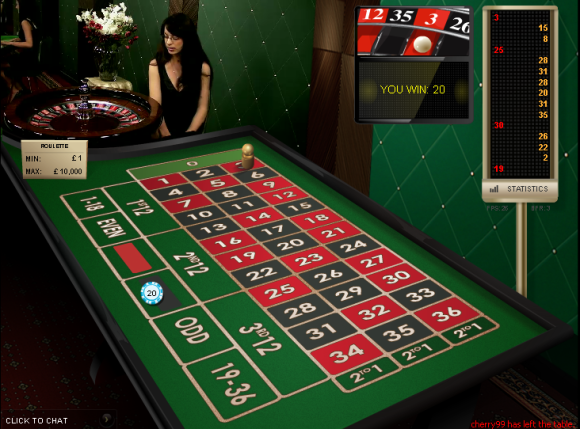 You must complete rollover on the bonus within 30 days of receiving it. If the rollover is not completed, any funds held in your bonus balance will be forfeited. 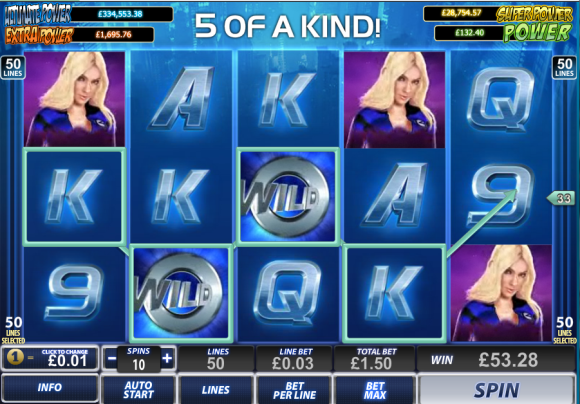 Customers must rollover their bonus (x5) on sporting events with odds of at least 1.60 (for combination/system bets each selection must also be with odds of at least 1.60) before being able to withdraw bonus amount. 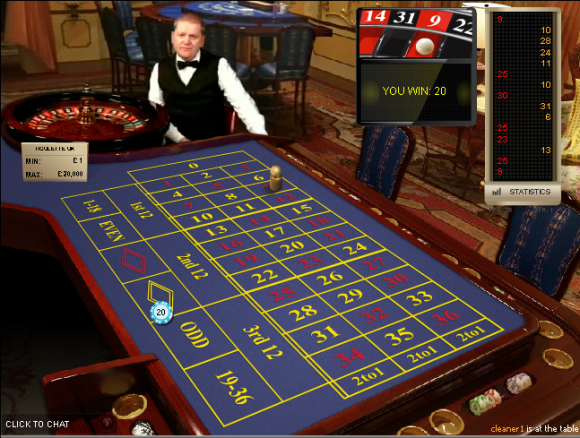 If you still have rollover to complete on an existing bonus, you must clear it meeting the specific wagering requirements of that bonus, before completing the rollover on your next bonus. 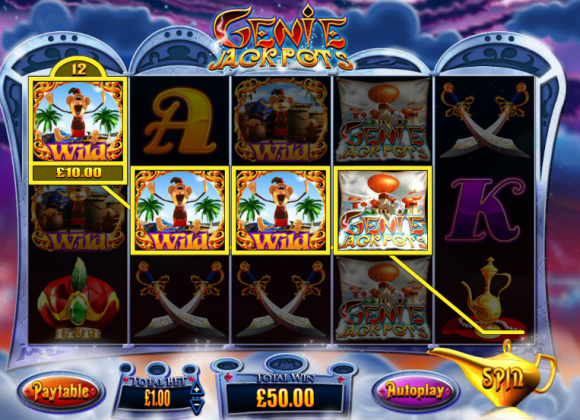 The bonus balance will be removed in case of a withdrawal request before the competition of the wagering conditions. 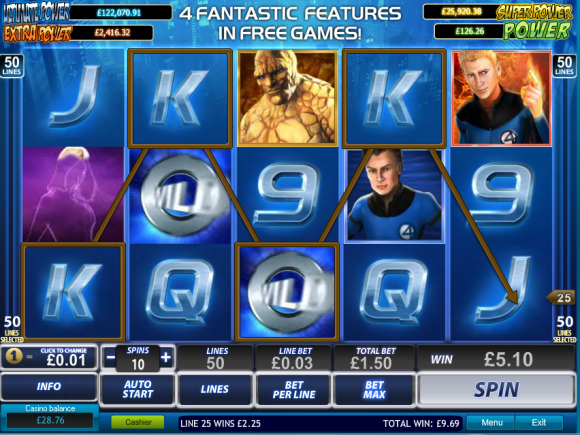 Only players from the UK are eligible for this promotion. Bonus abusers will be excluded from any bonuses given. 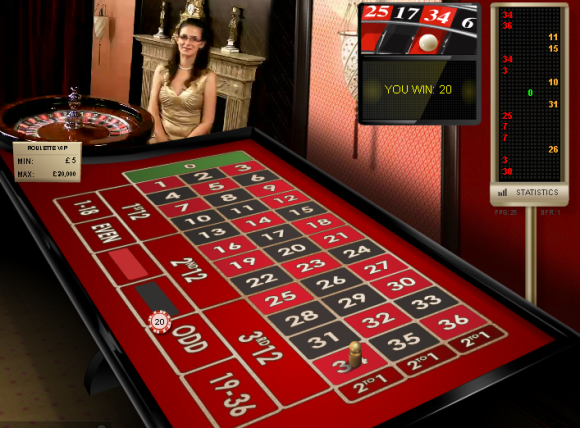 NetBet Sport reserves the right to cancel or amend this offer at any time. 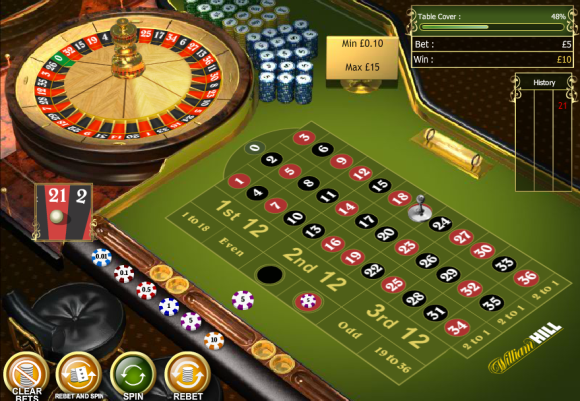 It’s Risk Free Roulette weekend as, to celebrate the new Circus Roulette Live Casino game, a number of sites are offer a free tenner to have a play with. 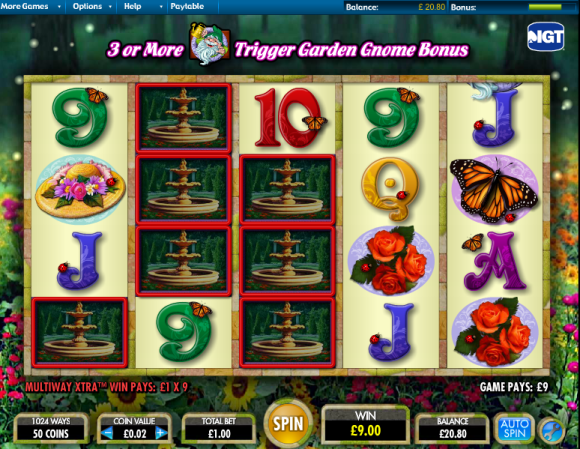 So just click on each of the sites below and grab your risk free £10 spins…. 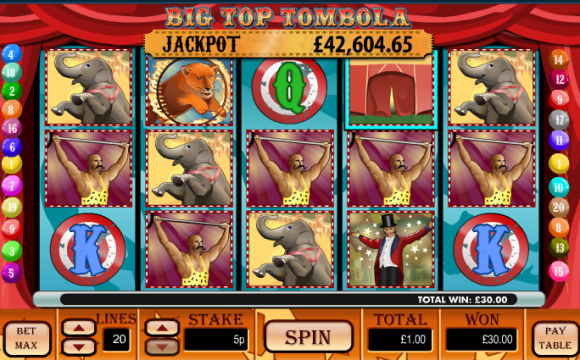 Ladies & Gentleman, the Victor Royale Live Casino Circus is in town for 3 Nights only! 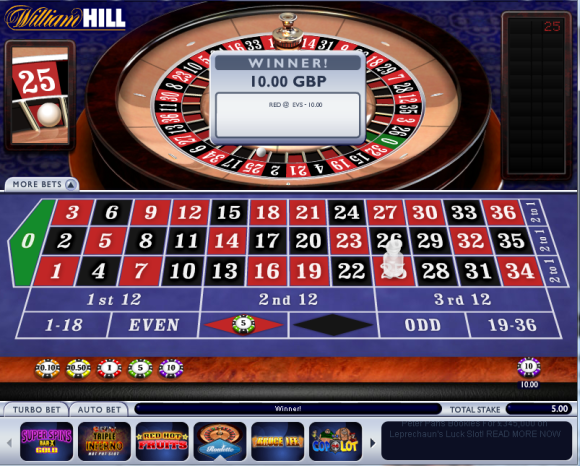 Simply place a bet of £10 on the Circus Roulette table at Victor Royale and if it loses, you’ll get £10 back as real cash on Monday 1st December – so what have you got to lose? 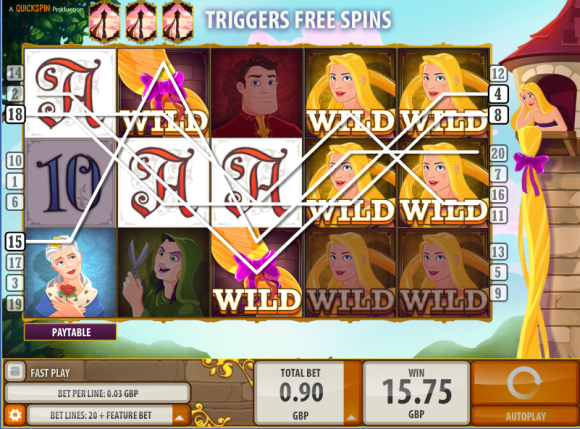 Step right up and have a risk free spin on the greatest game online! 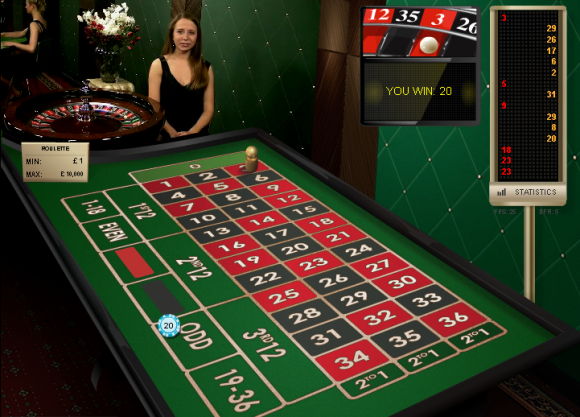 During the time 14:00  22:00 CET on the 28th, 29th and 30th November the circus is coming to our Live Roulette table from NETent, and its bringing you a risk free bet of 10! 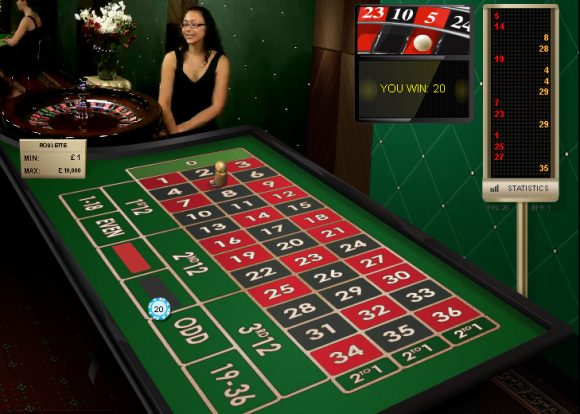 Place a bet of 10 during the Circus hours on the Live Roulette table, and if you lose the bet we will refund you the money on December 1st. 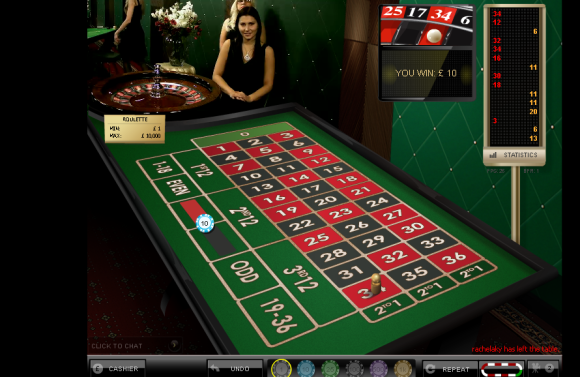 So if you still havent tried out the Live Roulette, this is the golden opportunity for you. 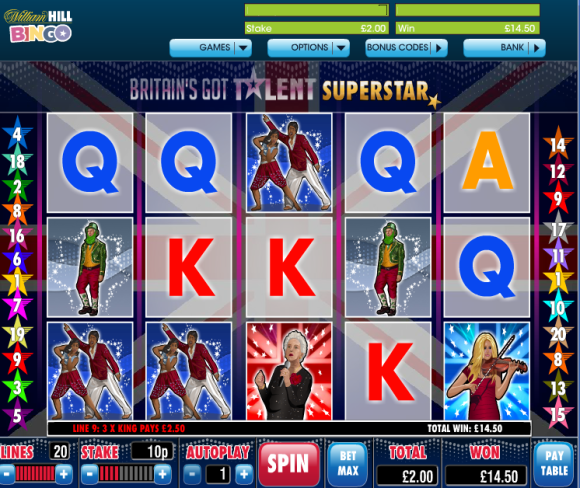 What are you waiting for  youve got NOTHING to lose! 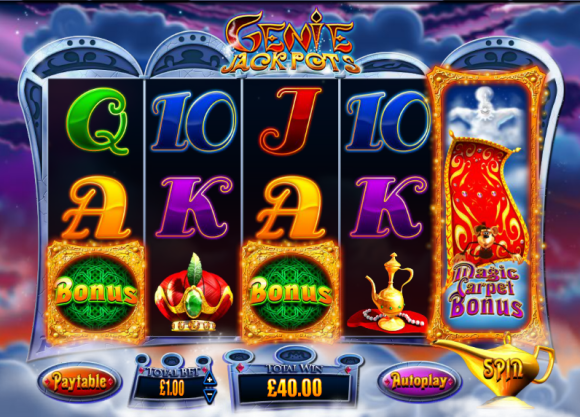 The Circus is in town and we are giving you the chance to get your entrance fee back – Enjoy a £10 risk-free first spin on Circus Roulette. 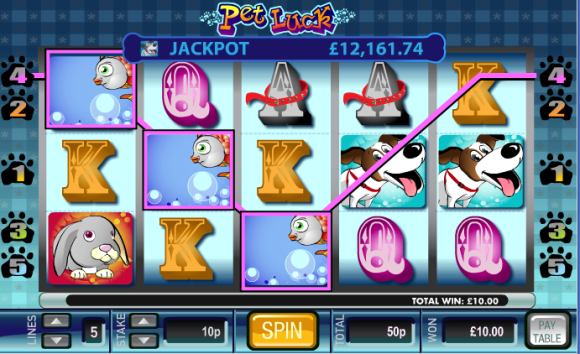 If this spin loses, Metro Play Casino will refund in cash. 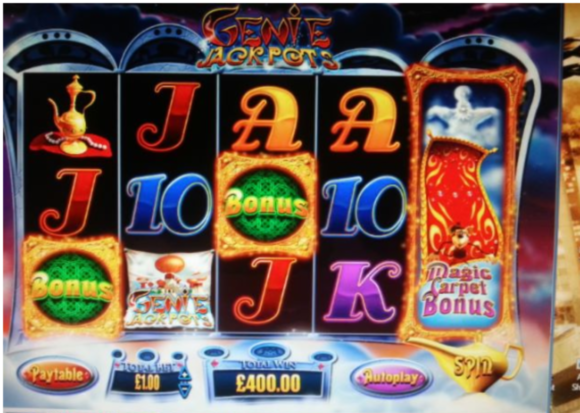 It really is as simple as that – Enjoy the show – Place a minimum of £10 with your first spin on Circus Roulette between 00:01 Friday 28th November and 23:59 Sunday 30th November – If your first spin is unsuccessful, receive £10 back as cash on Monday 1st December. 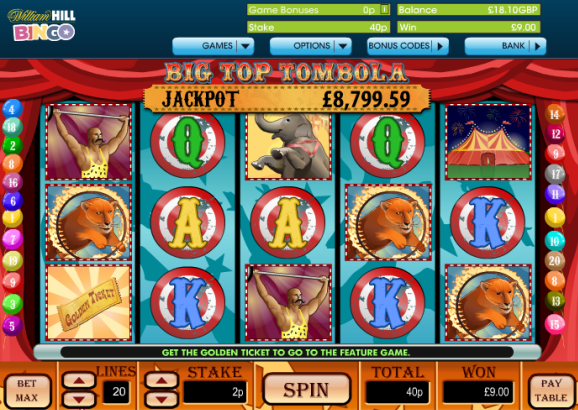 The Circus visits one of our Live Roulette tables for this weekend only, and we are giving you a £10 risk-free bet. 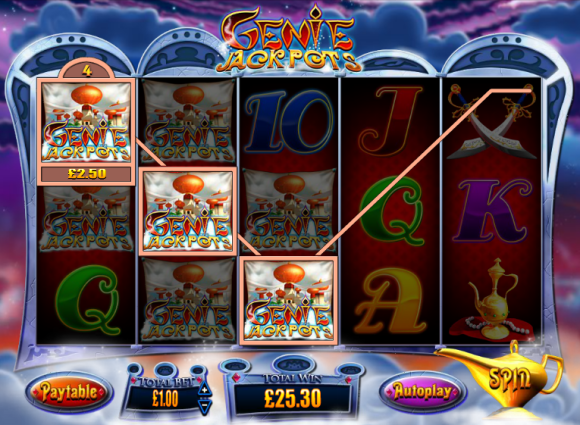 All you need to do is take a spin on the circus roulette table, and if your first bet loses we’ll refund you, up to £10. 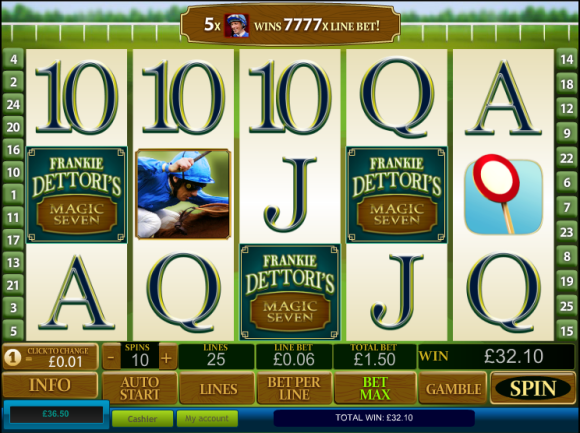 (minimum bet of £10 to qualify). We’re giving you a roulette risk free bet of €10.00 on our new Circus Roulette table. 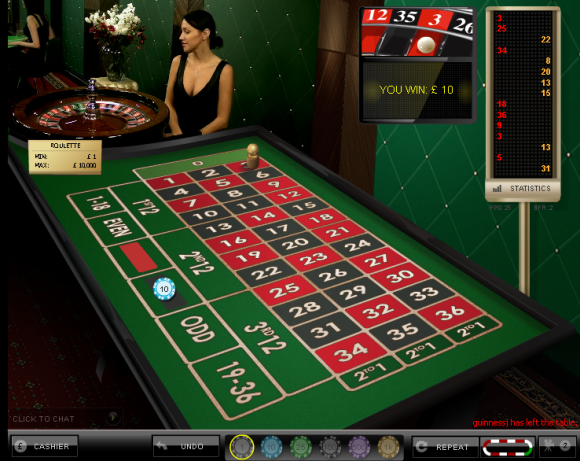 All you need to do is take a first spin on the circus roulette table, and if your first bet loses we’ll refund you €10.00 on the 1st December. 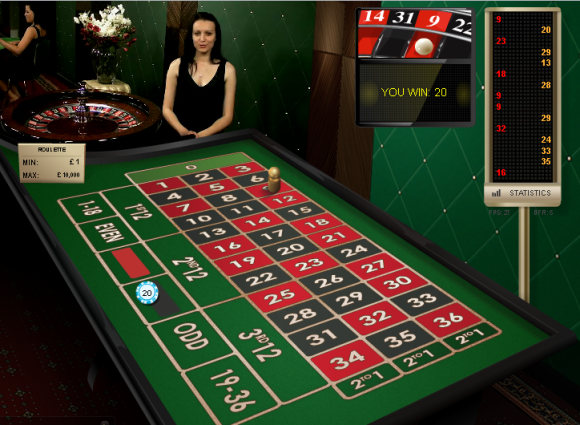 Players must place a minimum first bet of €10.00 to qualify and will receive a maximum of €10.00 refund. 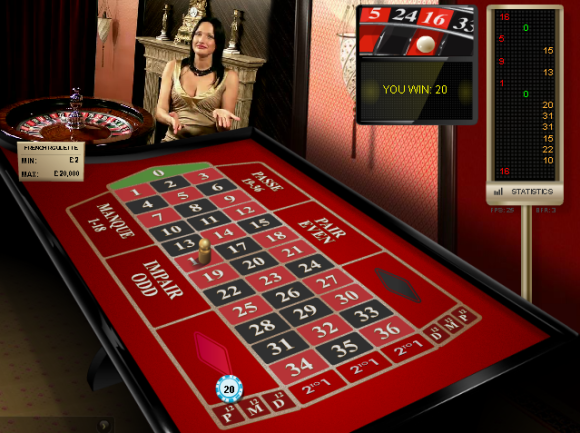 The Circus Roulette table will appear in the Casino Royal lobby between 14:00 – 22:00 CET on the 28th, 29th and 30th November. You can only qualify for this promotion once over the three day period. 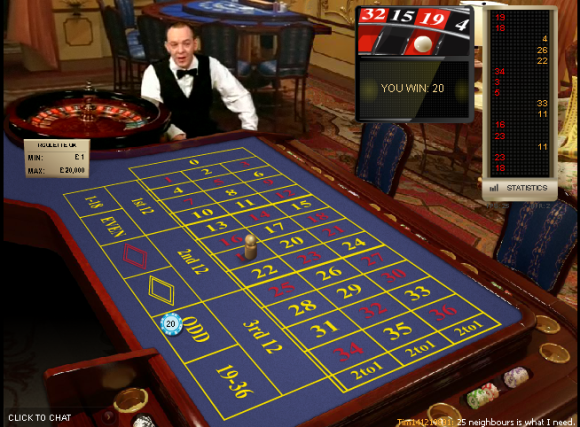 If you are going to have a bet then you might as well BET-AT-HOME. 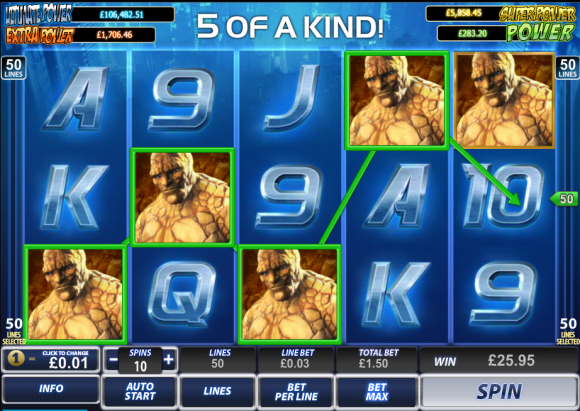 Especially when these chaps now have a free £15 up for grabs. 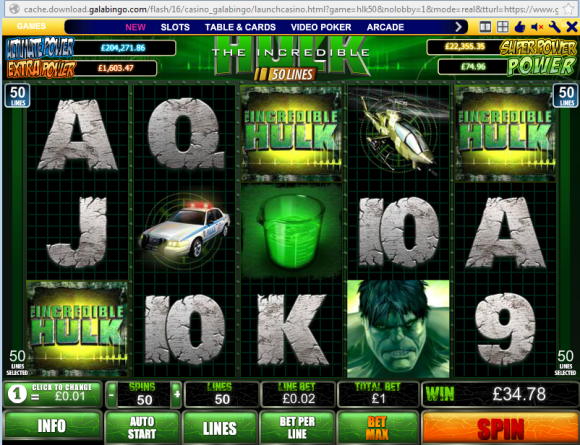 All you need to do is signup, deposit £30 and just enter the code FIRST then you are away. And then it is all dead easy to do, just remember that the value of the deposit + bonus must be rolled over 4 times at odds of 1.7. And of course we have it all covered in ODDSMATCHER so finding selections for this is a breeze. What more could one wish for! Update…. 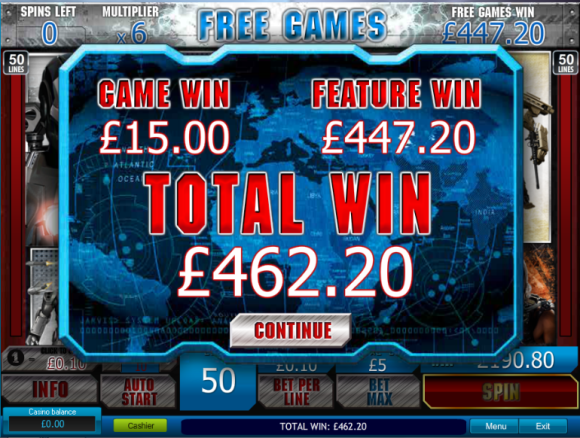 we have just had a recent offer of a free £150 bonus for all existing users at this site, totally out of the blue. 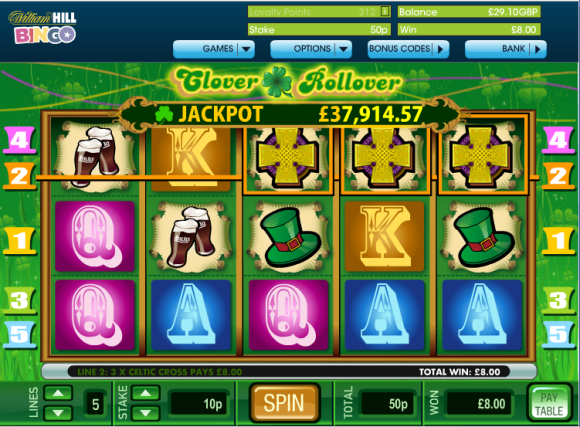 So well worth having an account as you never know when the next offer like that will come along! 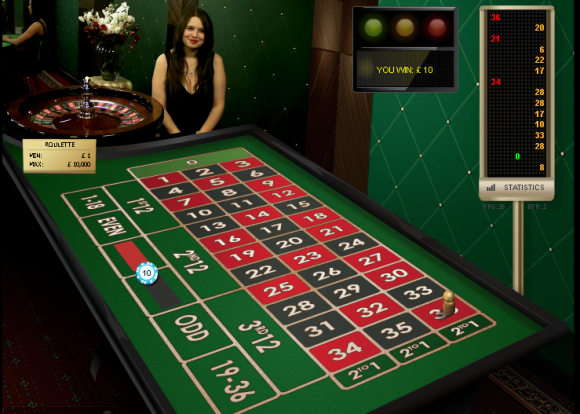 In the past we have used BET-AT-HOME in conjunction with MONEYBOOKERS, makes the whole process deposit/withdrawal very easy indeed. The bonus offer is only valid for bet-at-home.com customers, who registered at bet-at-home.com after 01.03.2011 (12:00 CET) and have not yet transferred money to their betting account. The bonus is calculated according to the total value of all payments made within the given time period before the bonus code is entered. With bank transfers the relevant date is the day the money is received by the bank. 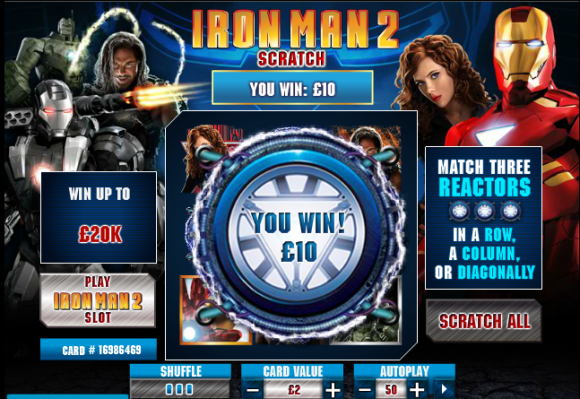 The bonus code is “FIRST” and it must be entered under “Redeem bonus” in account management within 10 days of the first deposit. After this time period the customer is no longer able to claim the bonus. 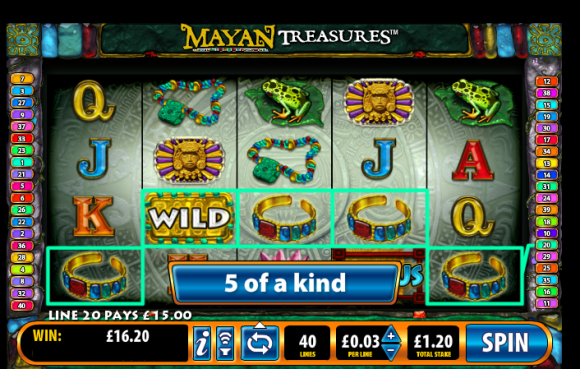 The maximum bonus amount is 15 GBP. 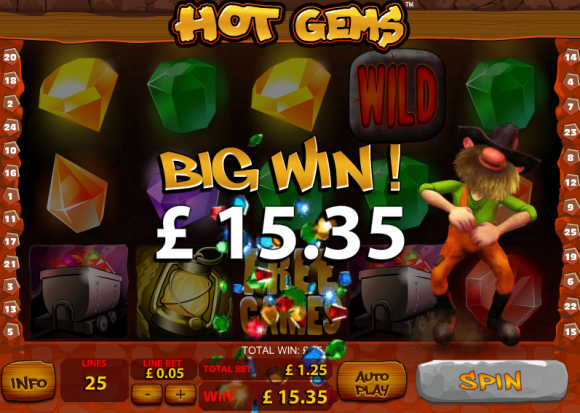 Customers who deposit more than 30 GBP will only get 15 GBP as a bonus from bet-at-home.com. 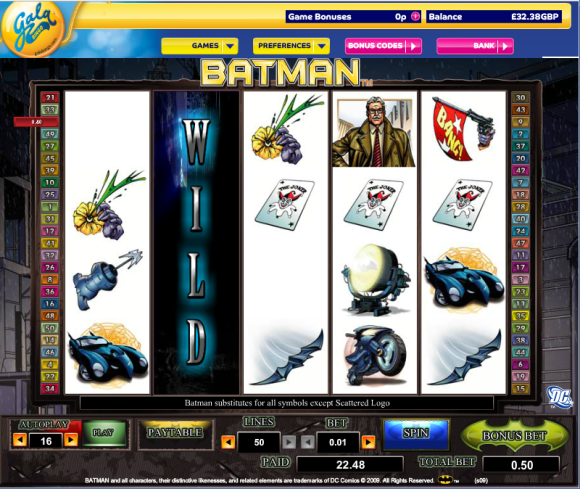 Values may deviate if the customer did not select GBP as their currency when opening their bet-at-home.com betting account. The decisive factor is the customer’s country. The deposit as well as the bonus must be rolled over 4 times with minimum odds of 1.70 (for single as well as combi bets) within 90 days prior to making a withdrawal. Customers who paid in more than 30 GBP must roll over a total of 180 GBP. 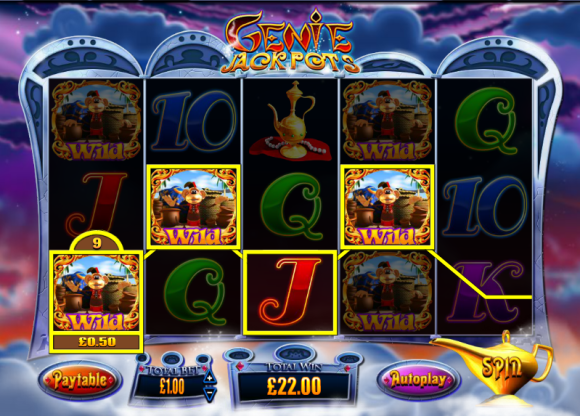 The bonus will only be granted if no withdrawal was made before redeeming the bonus. The bonus is only valid for sports betting and live betting. 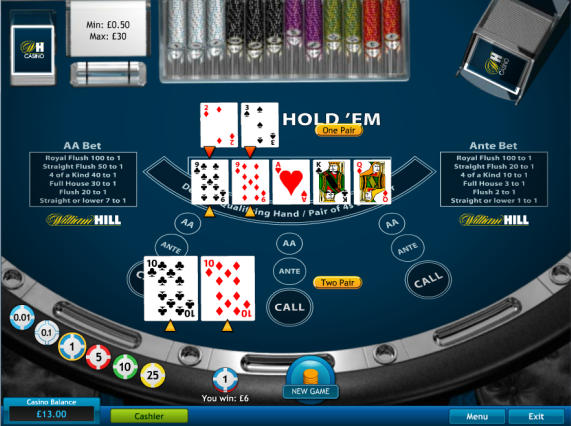 Other bet-at-home.com products are excluded from this offer. 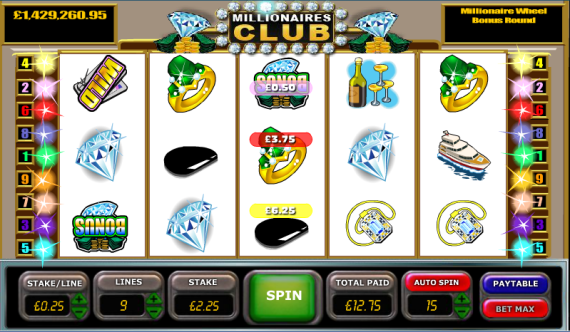 The bonus is limited to one betting account per person, family, household or computer. 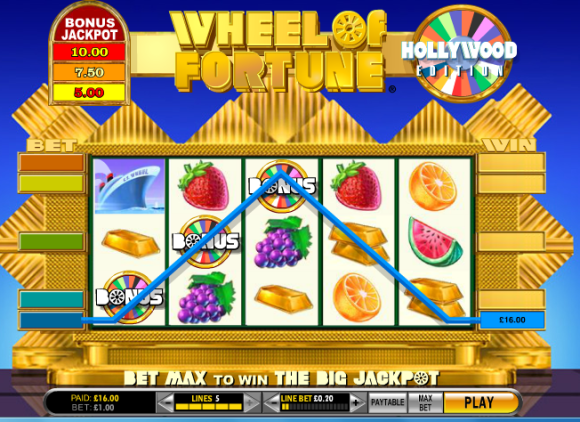 By suspicion of abuse via multiple registrations (fictitious accounts, game communities) or balance betting, bet-at-home.com reserves the right to remove the bonus and any resulting winnings. Customers from Armenia, Belarus, Bulgaria, Denmark, Estonia, Finland, France, Greece, Israel, Italy, Latvia, Lithuania, Mexico, Norway, Russia, Serbia, Spain, Sweden, Turkey, Ukraine, United States of America cannot participate in this promotion. 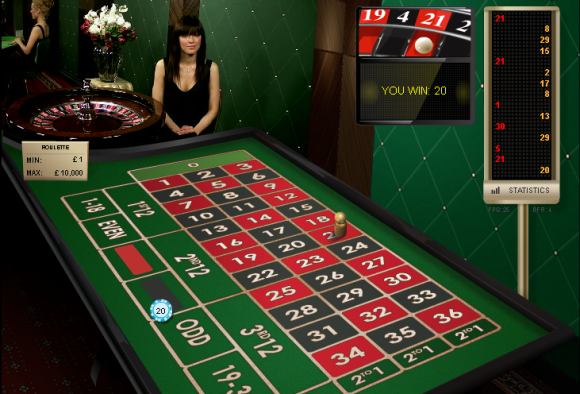 By redeeming the bonus the player accepts the bonus terms and conditions as well as the general terms and conditions of bet-at-home.com which can be found at www.bet-at-home.com. 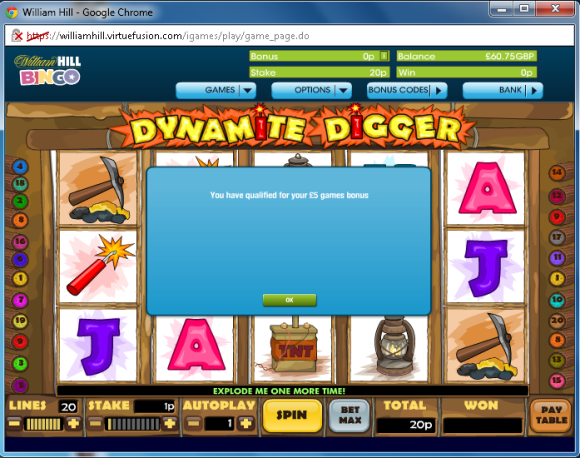 bet-at-home.com reserves the right to amend or cancel this offer at any time at its own discretion. 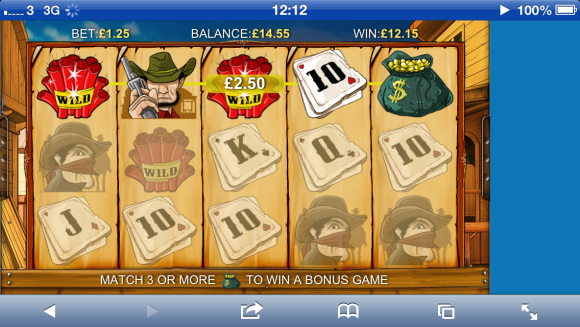 It seems that Mr William Hill is on a mission. A mission to give us as many risk free opportunities as we can shake a rather large stick at. 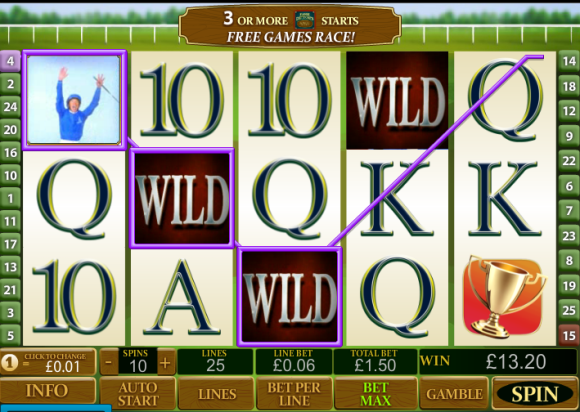 OK these are not free sports bets as we saw last year but they are risk free offers on the casino / games and bingo areas of their site. 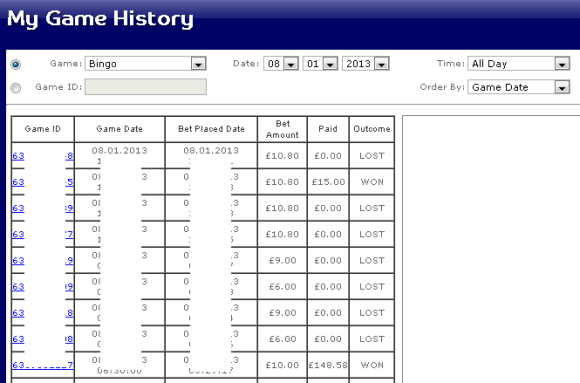 In fact these are proving even more profitable than the football ones from last season! 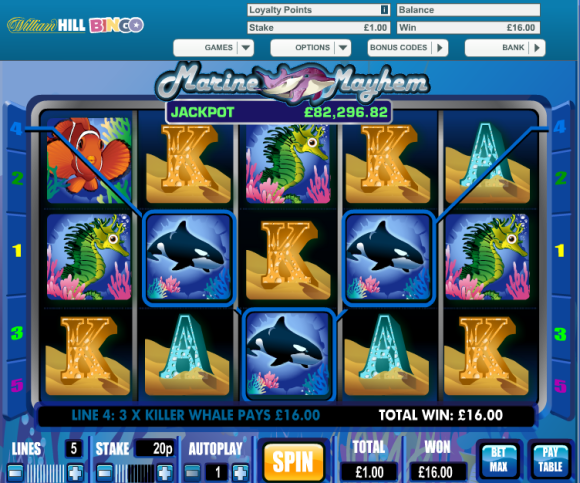 Have a whale of a time with the Marine Mayhem Mini £5 bonus! 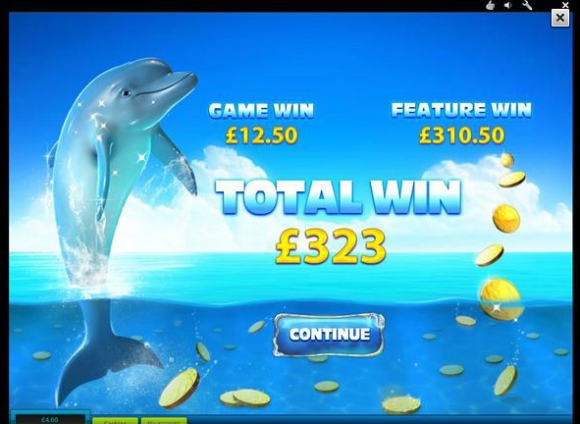 Between Wednesday 19th and Tuesday 25th February, enter bonus code MARINE then spend just £5 on Marine Mayhem Mini between the same dates. 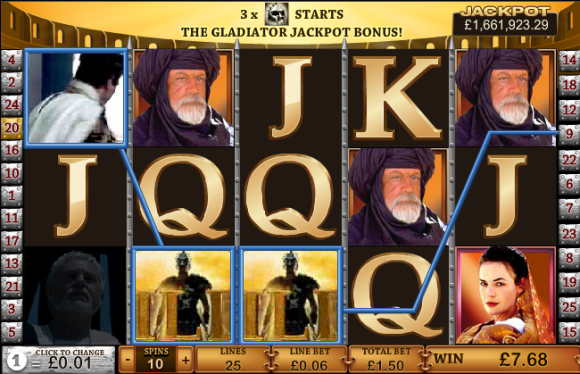 We’ll then give you £5 Games Bonus to continue playing. What are you waiting for? 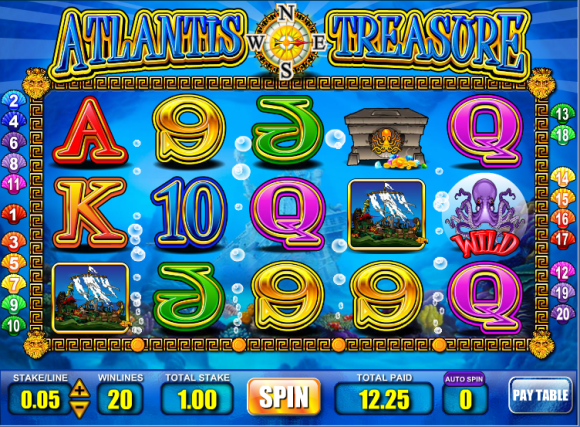 Come and find your bonus from under the sea. 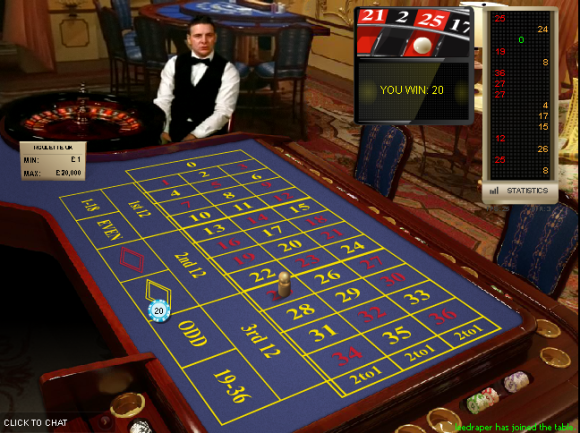 Please note: There is a x20 wagering requirement before winnings can be withdrawn. 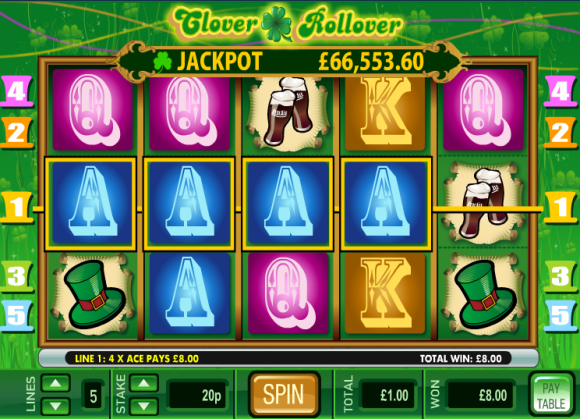 The £5 Cash Back promotion is valid these Saturday and Sunday 22/2/2014-23/2/2014 between 20:00-22:00 (the “Promotion Period”). 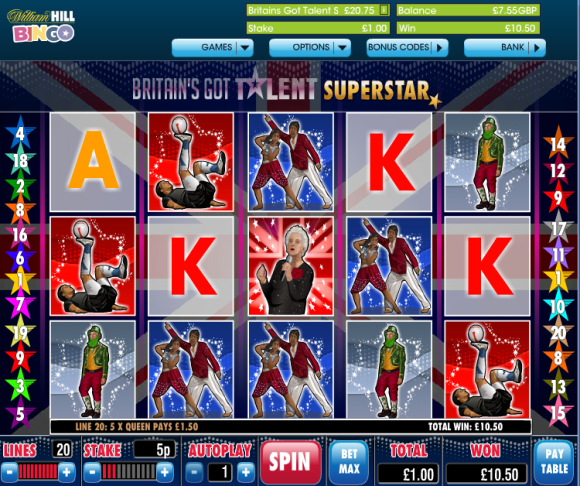 Eligible players are UK players only. The promotion is valid once per customer per day. 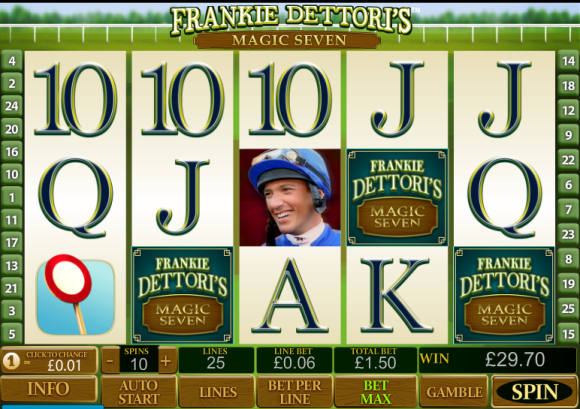 Refund amounts will be calculated on losses incurred on Frankie Dettori’s less your winnings up to £5 on any given day. 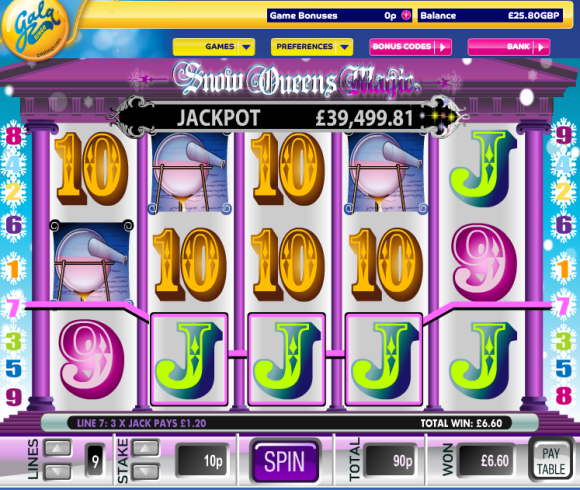 Your account will be refunded with up to £5 real cash. 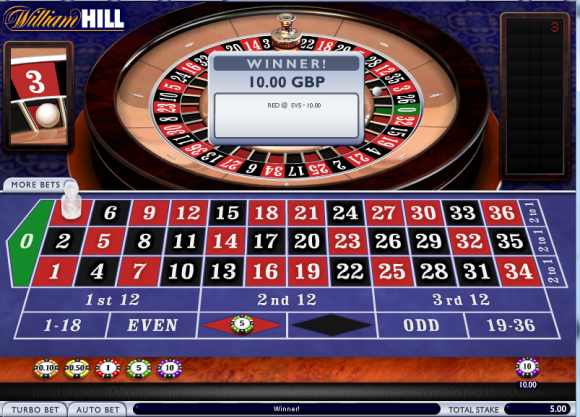 All winnings will be made into your William Hill account by Monday the 24th of February . 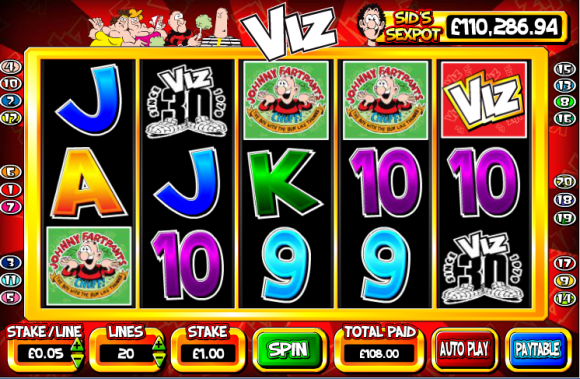 A minimum of £1 will be awarded during any promotional period. 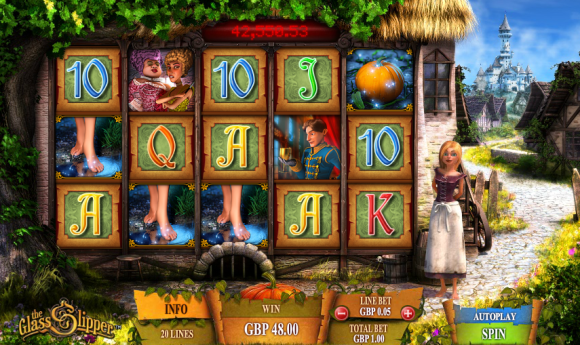 Any amounts less than £1 will not qualify for bonus credit. 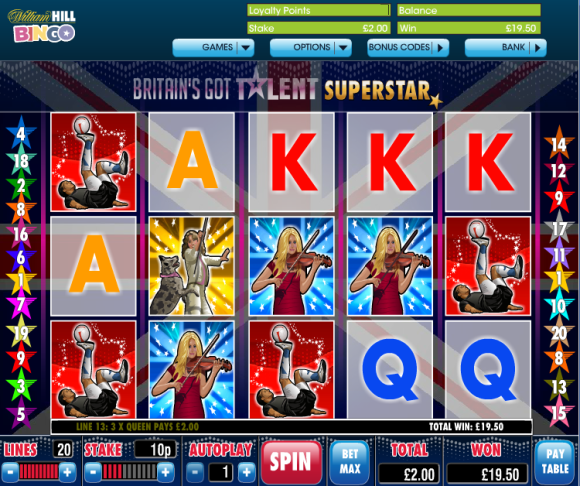 This includes customers who have placed bets on William Hill Mobile casino games. 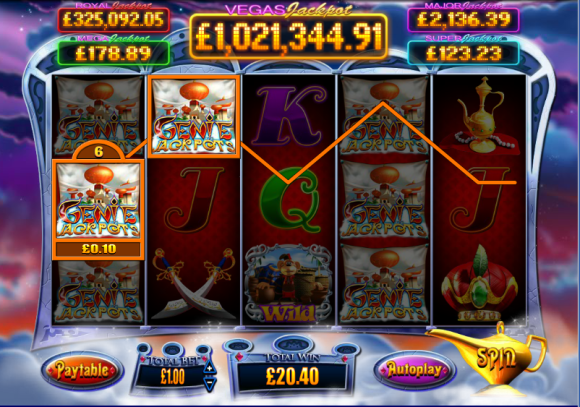 Bet72er Steve Sent Us This Beauty. Wow! 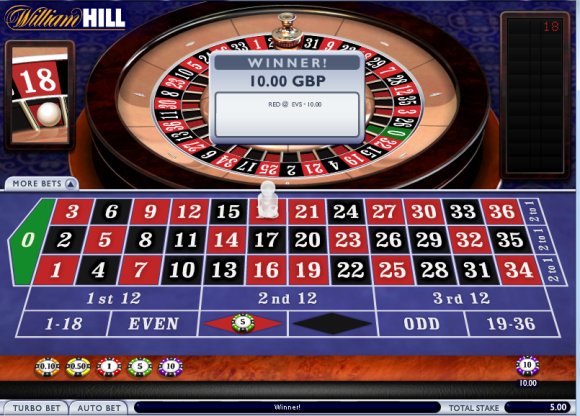 How’s this for a spin from a risk free fiver from Bet72er Damian! 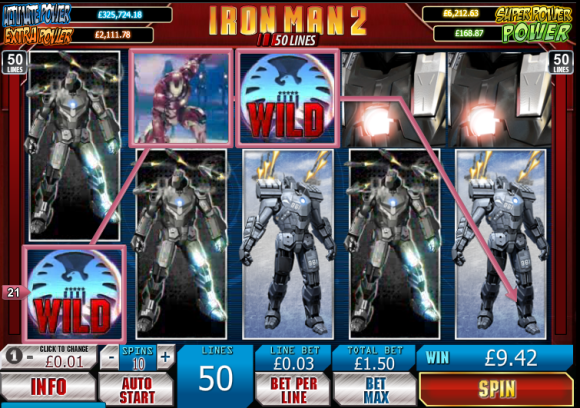 Here’s some of our own winning screens. Not quite in the league of the boys above but these soon start to add up and remember all risk free, when we haven’t won we just got our money back so this is all 100% profit! 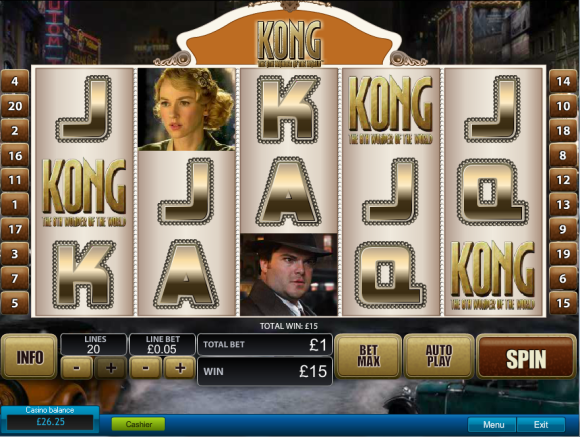 Cashed Out The Latest REEL Bonus For £21 Profit Overall. Lovely! 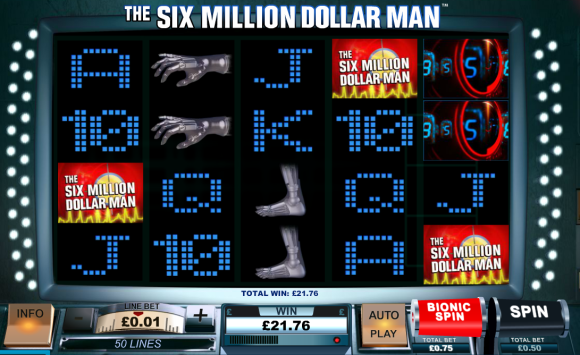 We’ve Got The Cash Factor. 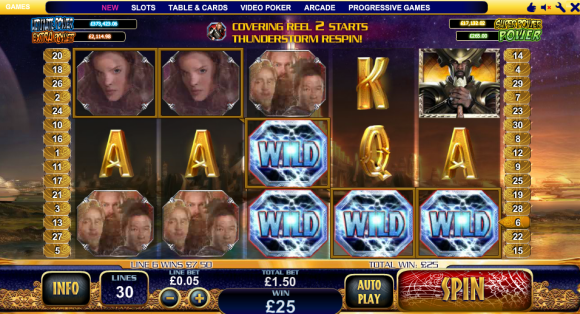 Friday’s REEL Bingo Slots. 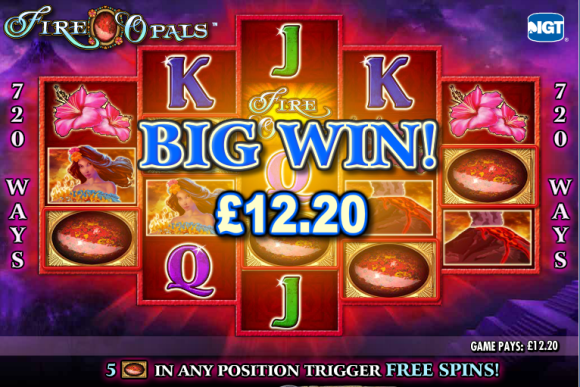 +£11 With £5 Freebie To Come! 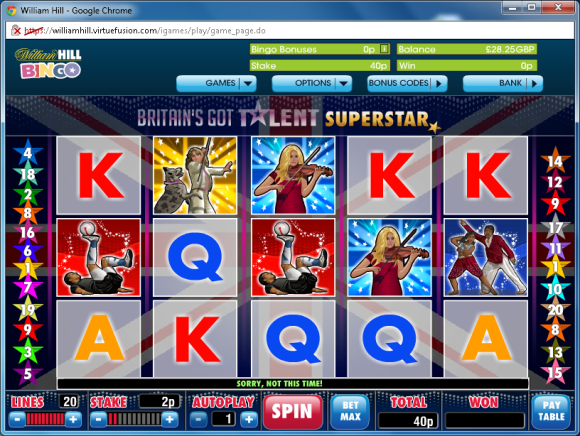 Latest Winning Update 25/05/13 – Britain’s Got Profit. 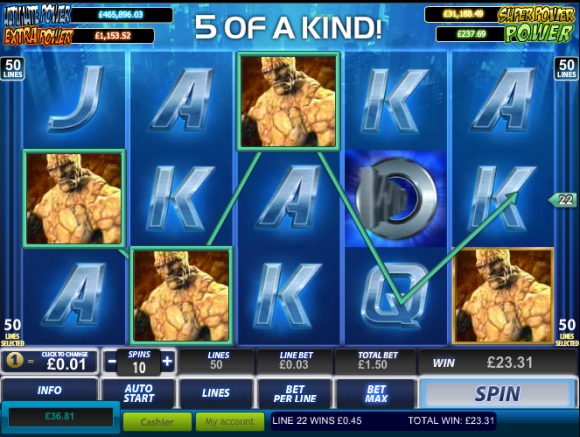 Another Winning Bingo Slots Offer. 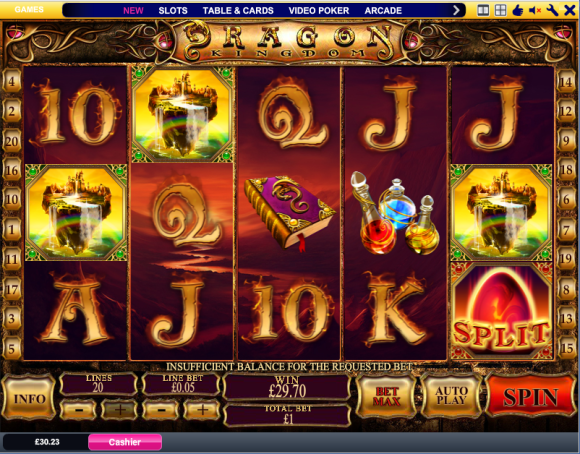 Ended £39 Up! 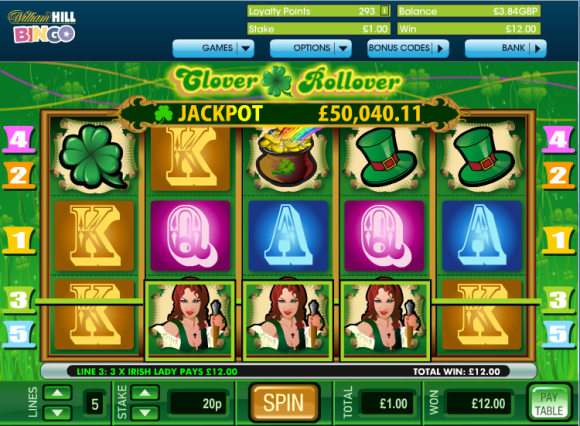 Latest Winning Update 30/04/13 – Risk Free Monopoly Money! 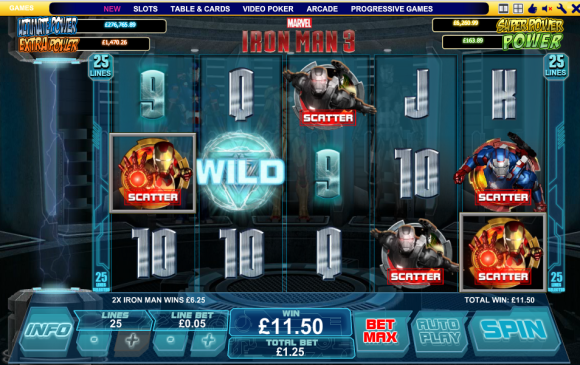 Latest Winning Update 22/04/13 – Risk Free Scratch Card In My Will Hill Inbox. Lovely! 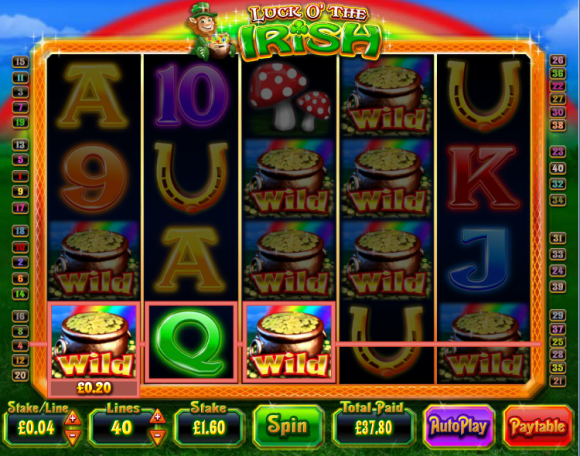 Cashing Out The Friday REEL Bingo Slots Bouns For £66 Profit! 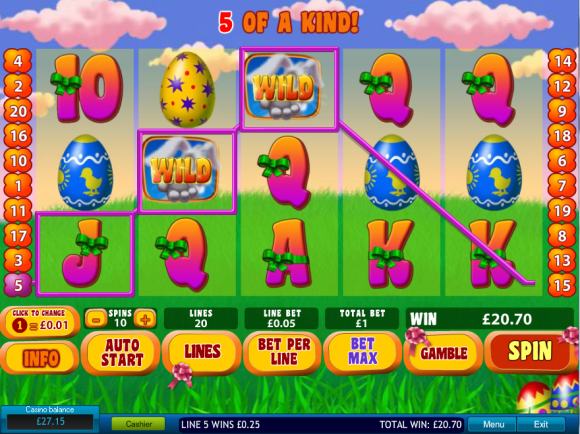 Latest Winning Update 06/04/13 – Cashed Out Yesterday’s REEL Bingo Slots Bonus. 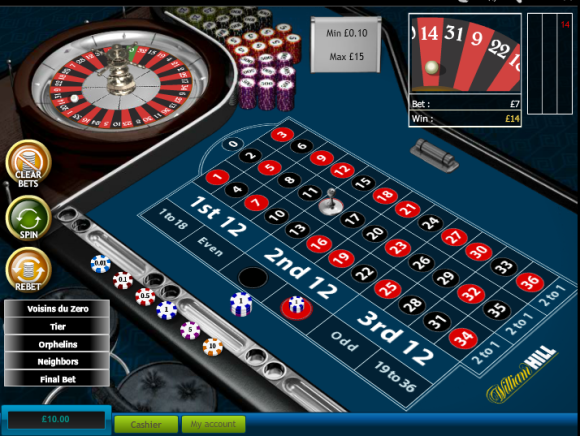 Finished £30 Up! 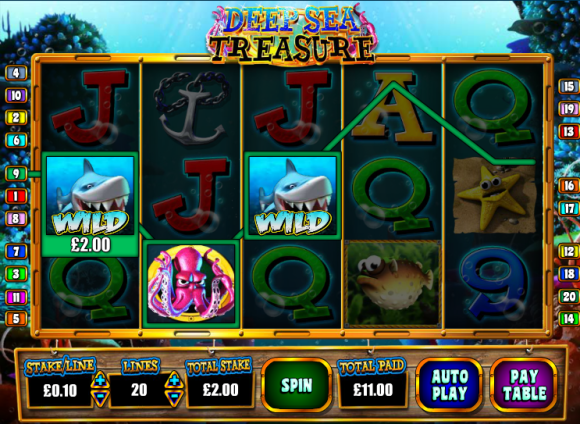 Just Cashed Out The Latest REEL Free Fiver Ended £26 Up. Lovely! 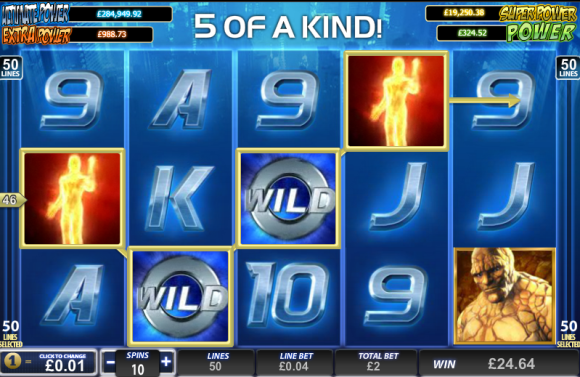 Friday Is Bingo Slots Day. 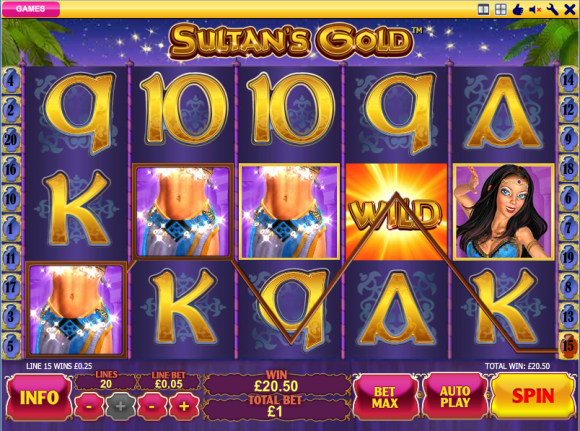 £10 Up With £5 Bonus To Come! 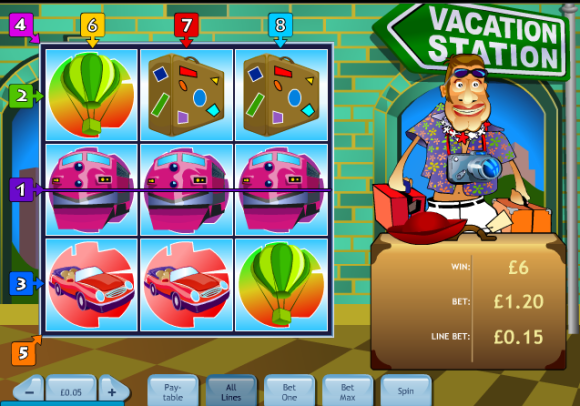 More Bingo Slots Wins. 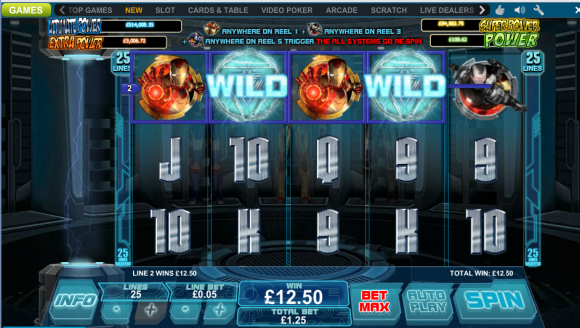 £5 In, £21 Out! 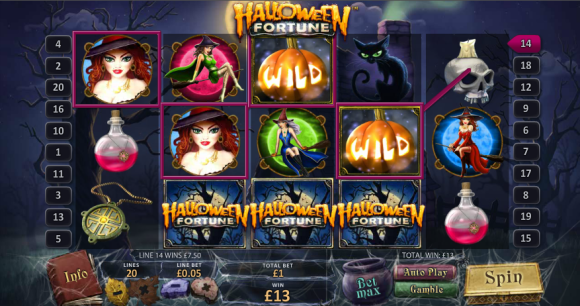 Latest Winning Update 19/12/12 – Halloween Christmas Risk Free Winnings. Lovely! 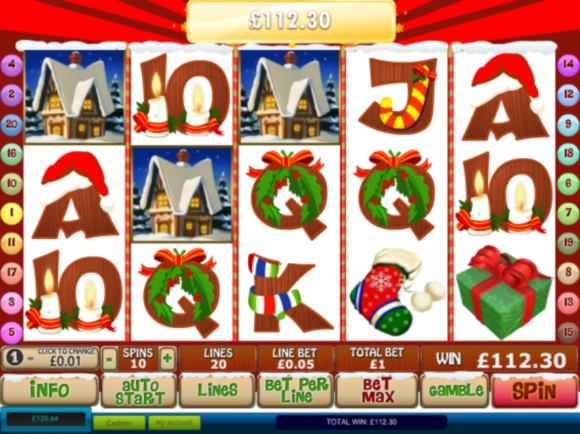 Latest Winning Update 14/12/12 – Bingo Slots Kerching! 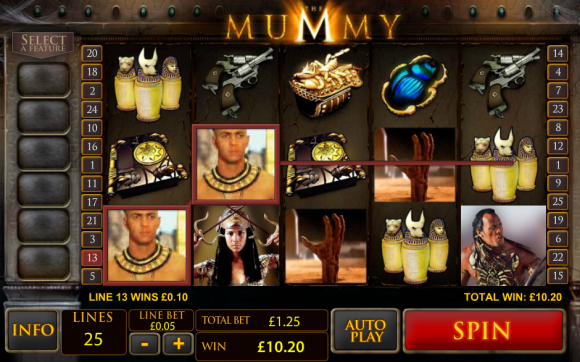 Latest Winning Update 11/12/12 – And Number 3. Lovely! 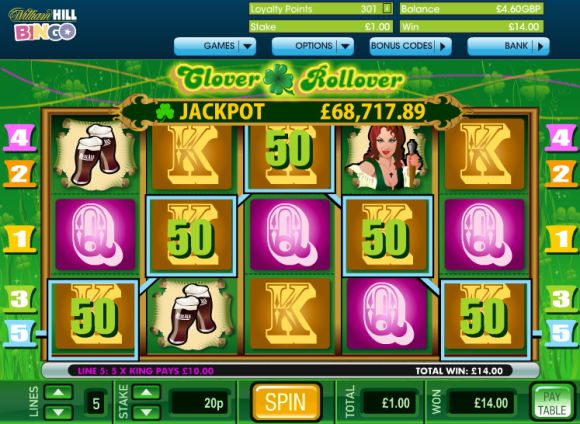 Latest Winning Update 07/12/12 – More Bingo Slots Profits Before We Even Have The Bonus! 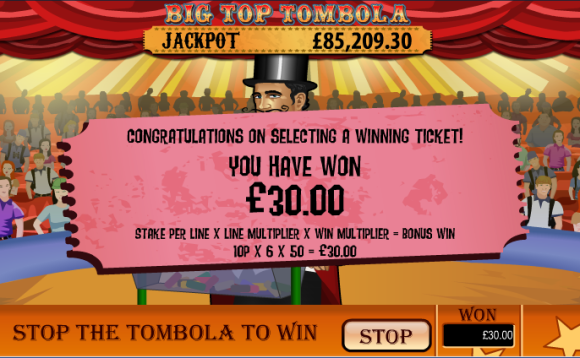 Latest Winning Update 05/12/12 – Turned Our £10 Bingo All Games Bonus Into Over £30! 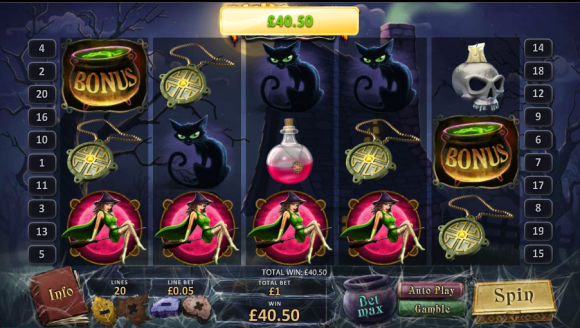 Latest Winning Update 11/11/12 – Free £5 Bingo Slots Offer From Friday. Nice! 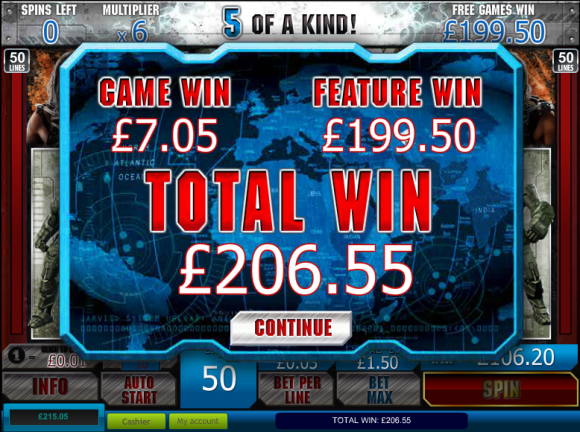 Latest Winning Update 06/11/12 – Risk Free £20 Offer In My Inbox This Morning. 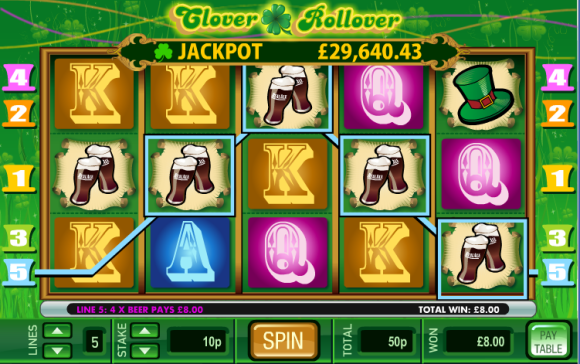 Well It Would Be Rude Not To…. 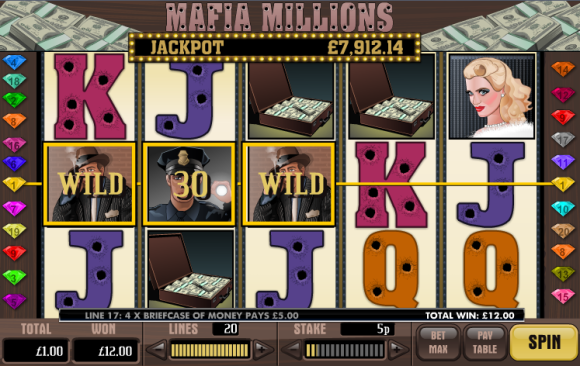 Latest Winning Update 13/10/12 – An Offer I Couldn’t Refuse On Mafia Millions! 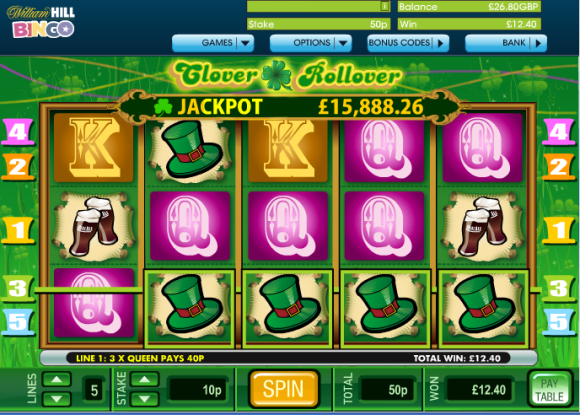 Latest Winning Update 08/10/12 – Not A Bad Way To Start The Week. 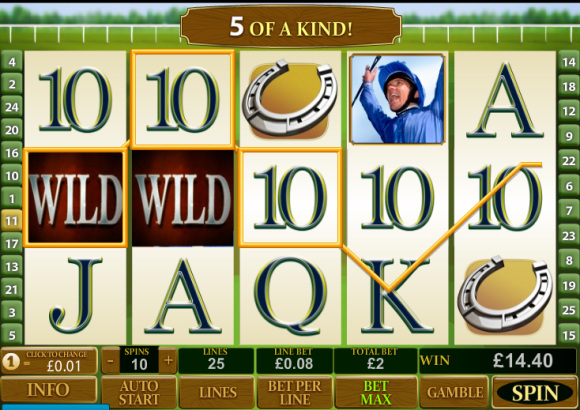 This From One Risk Free Spin! 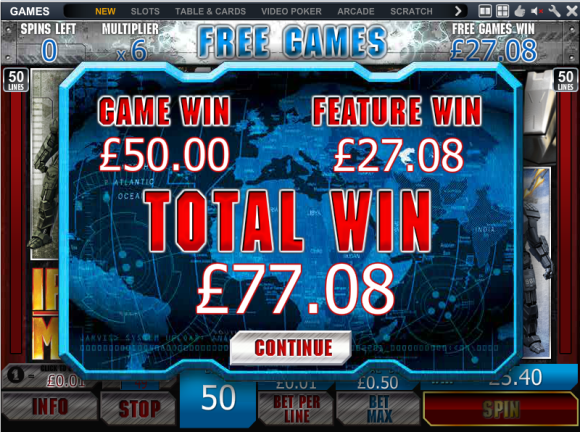 Latest Winning Update: 20/07/12 – Picked Up A Risk Free Offer Card In A William Hill Shop. Lovely! 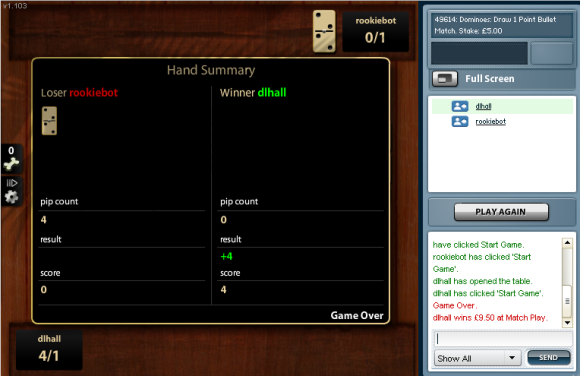 Latest Winning Update: 03/07/12 – Smashed That Rookiebot Again! 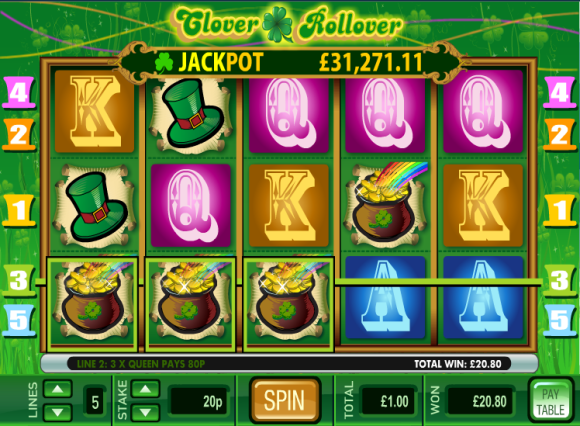 Latest Winning Update: 29/06/12 – Ah Double Up Friday Again! 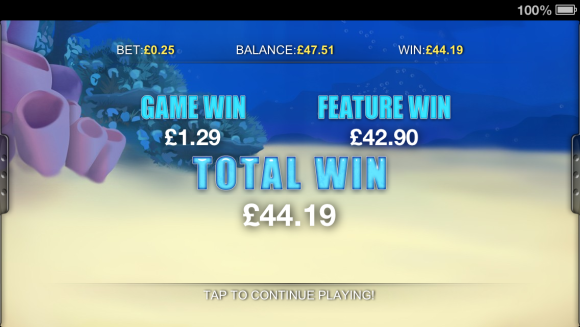 Not a risk free offer but playing with my weekend profits spun in 2 x £30 winners during the wagering & ended up cashing out for £73 profit overall! 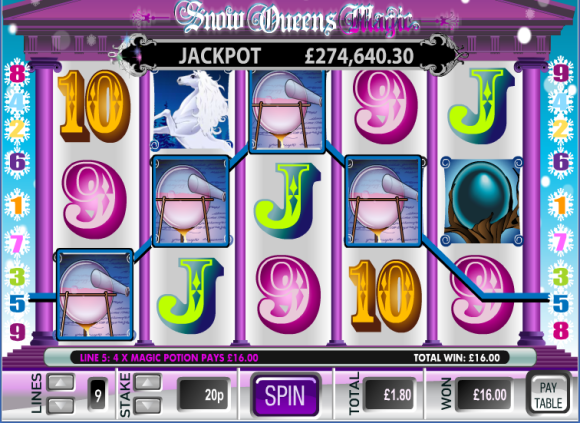 Latest Winning Update: 22/06/12 – Double Bubble Time Again! 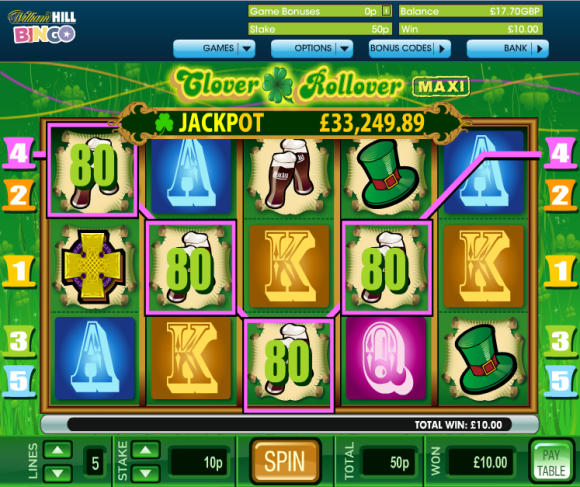 Latest Winning Update: 20/06/12 – He spins. He wins. 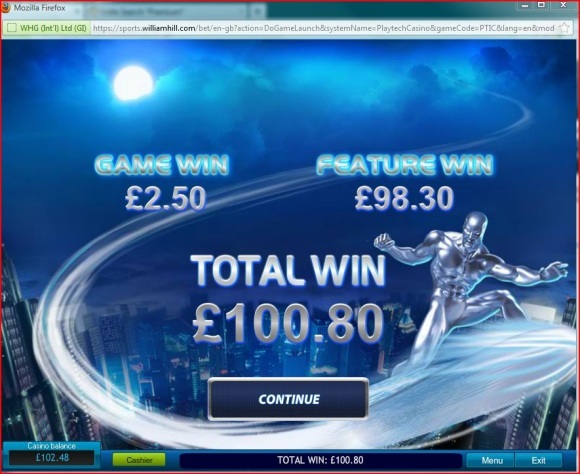 Latest Winning Update: 16/06/12 – Once again not a risk free offer as this had a £100 wager requirement but playing with profits already won made it so! 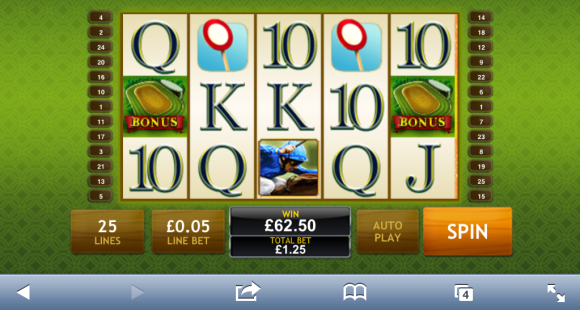 Sorry a little hard to read but £10 in £62.30 out in about 10 mins! 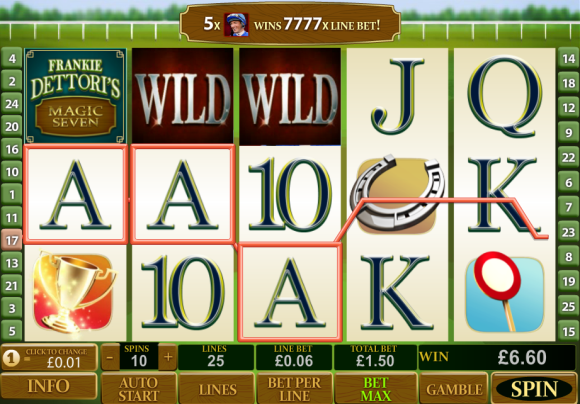 Latest Winning Update: 10/06/12 – Not a risk free offer as this had a £100 wager requirement but playing with profits won yesterday made it so! 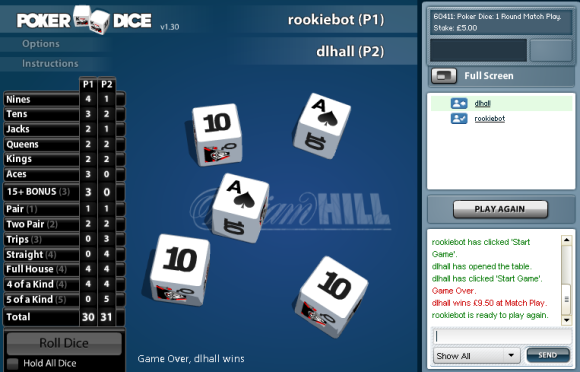 Latest Winning Update: 05/06/12 – Risk Free Poker Dice. Don’t mind if I do! 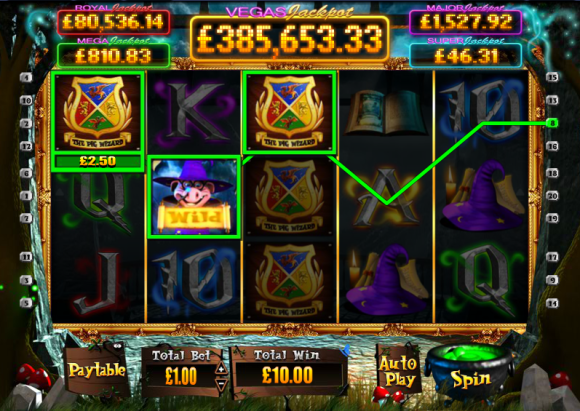 Latest Winning Update: 18/05/12 – Happy Risk Free Friday! 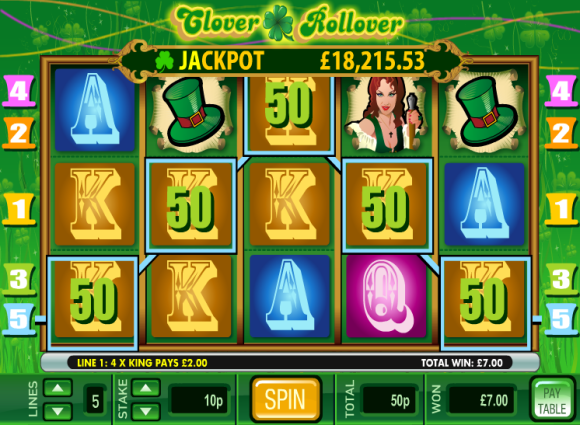 Latest Winning Update: 18/05/12 – £1 spin, £16 risk free win! 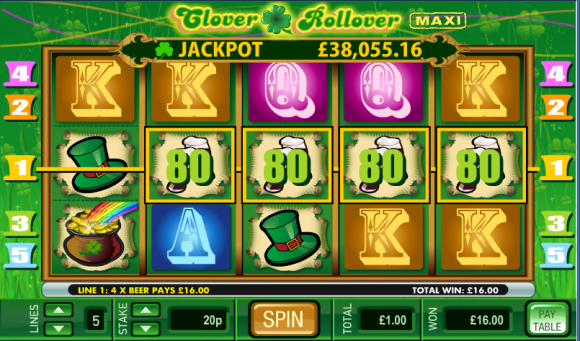 Latest Winning Update: 18/05/12 – Clean Sweep – 3 out 3 risk free wins today! 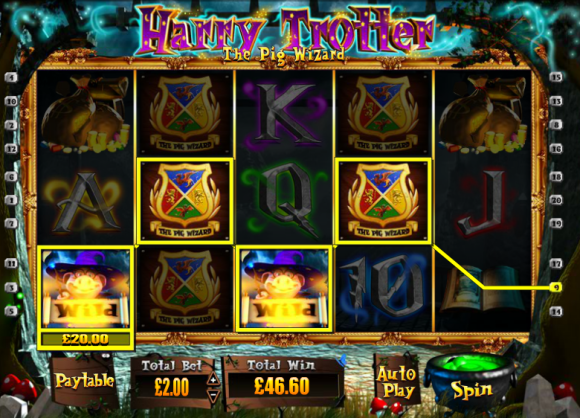 Latest Winning Update: 09/05/12 – Harry Waves His Magic Wand. Nice! 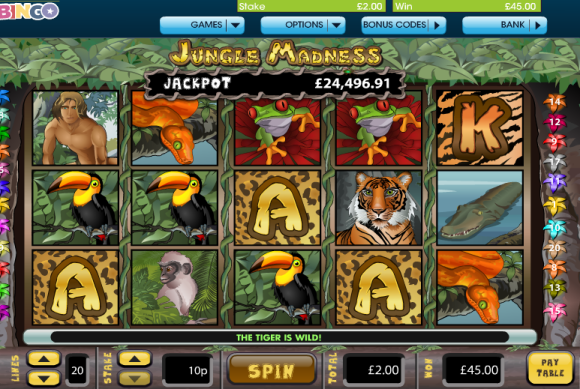 Latest Winning Update: 14/04/12 – Another risk free spins offer. Lovely! 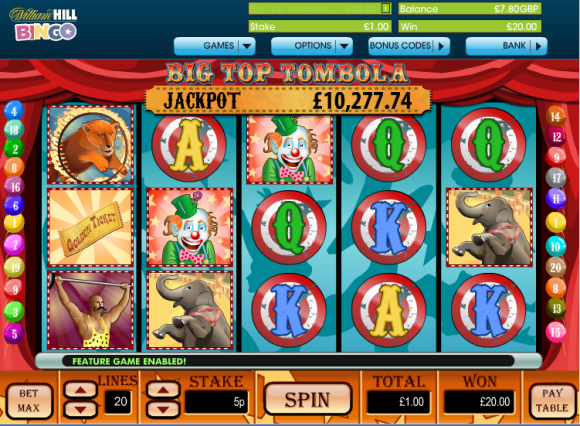 Latest Winning Update: 02/04/12 – Started with a tenner, now £27.15 from a few risk free spins! 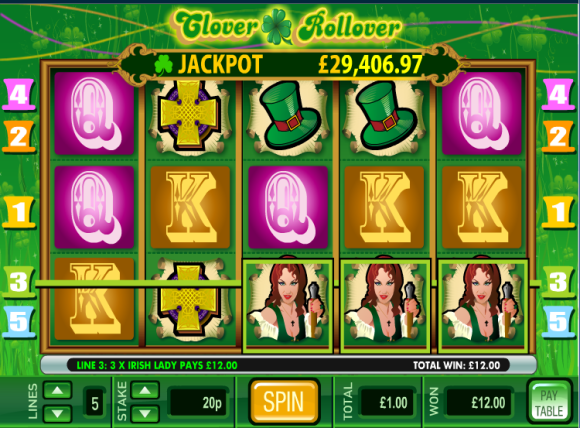 Latest Winning Update: 27/03/12 – Another risk free double up, lovely! 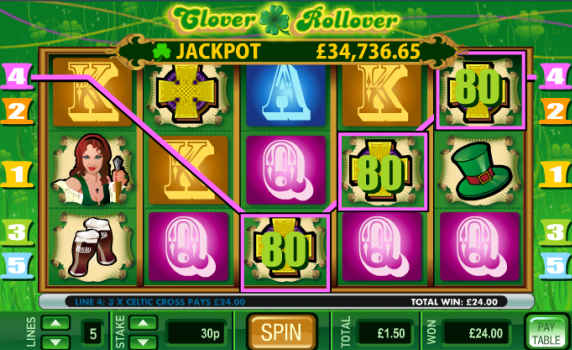 Latest Winning Update: 16/03/12 – Doubled up on the last day of Cheltenham. Lovely! 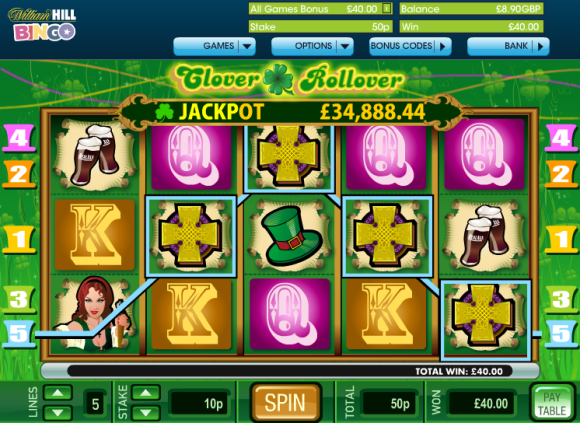 Latest Winning Update: 06/03/12 – Different tactic today for the risk free games £5. 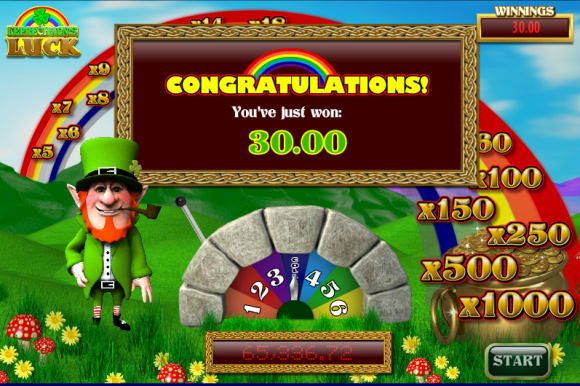 50p on 10 random numbers, lovely! 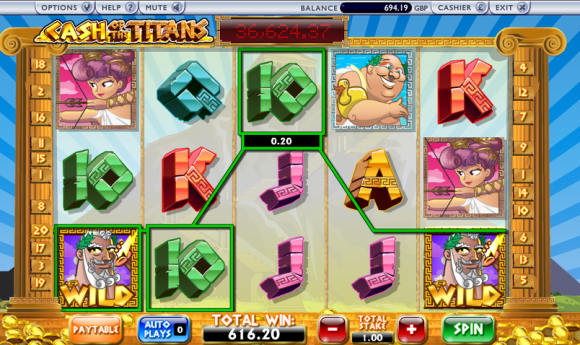 Latest Winning Update: 04/03/12 – Now that’s what I call a Top Trump! 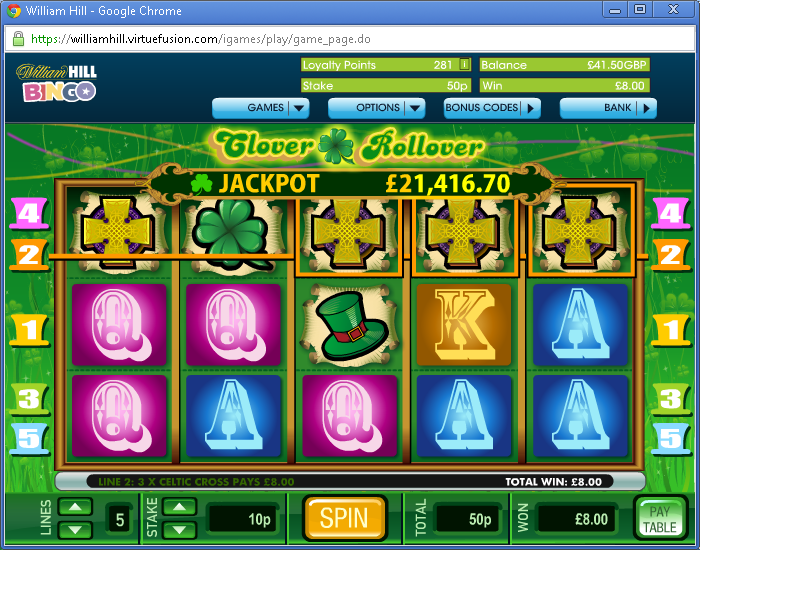 Latest Winning Update: 28/02/12 – Only had 2 x £1 spins. 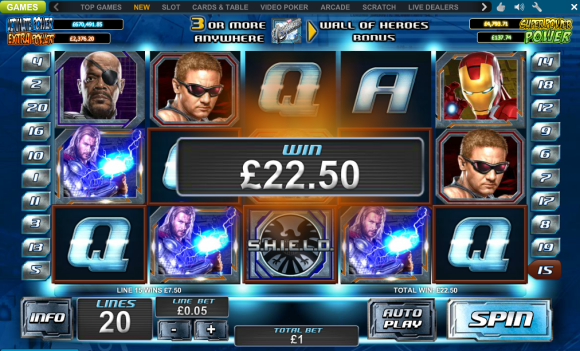 £10 upto £26.25. 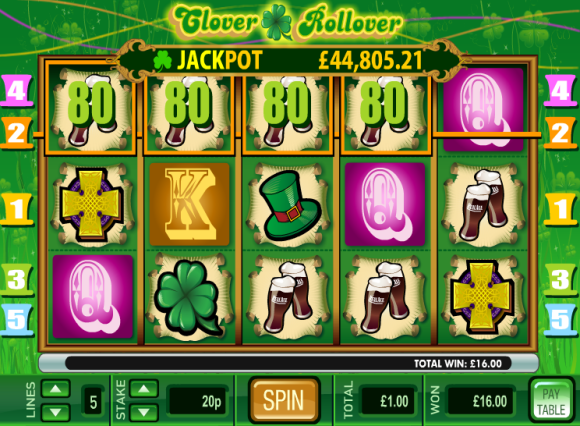 That will do! 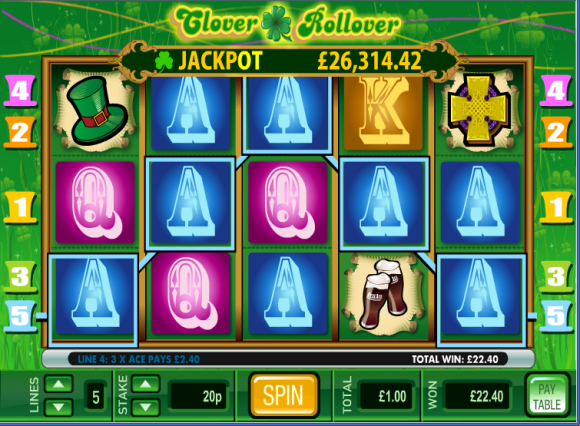 Latest Winning Update: 23/01/12 – Happy Mondays. 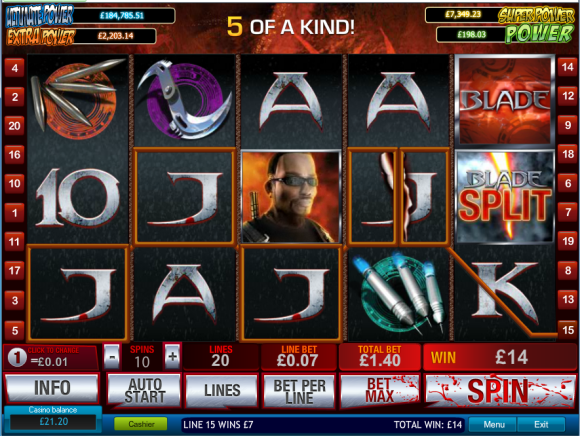 One spin of the Blade slot and free spins! 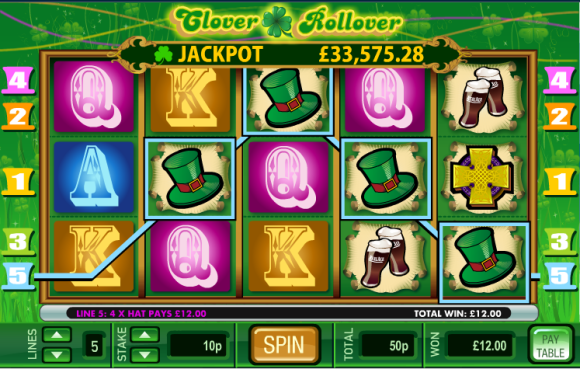 Latest Winning Update: 13/01/12 – Who said Friday the 13th was unlucky. 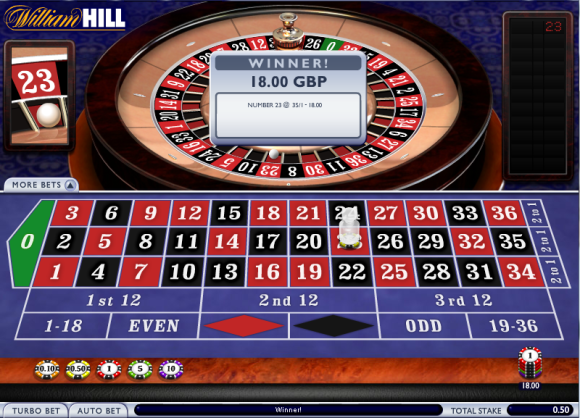 Not Will Hill! 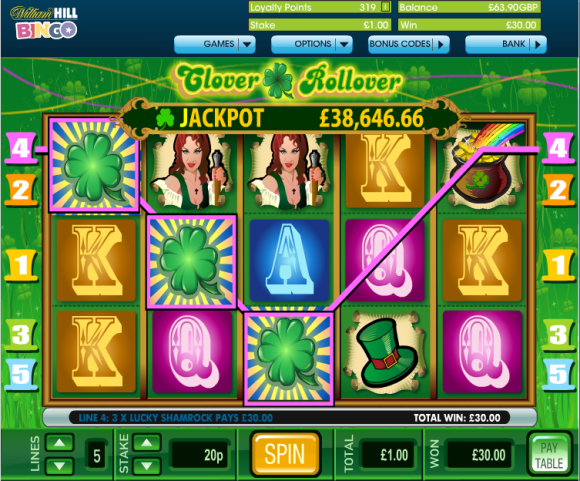 Latest Winning Update: 13/01/12 – First spin, that will do, next! 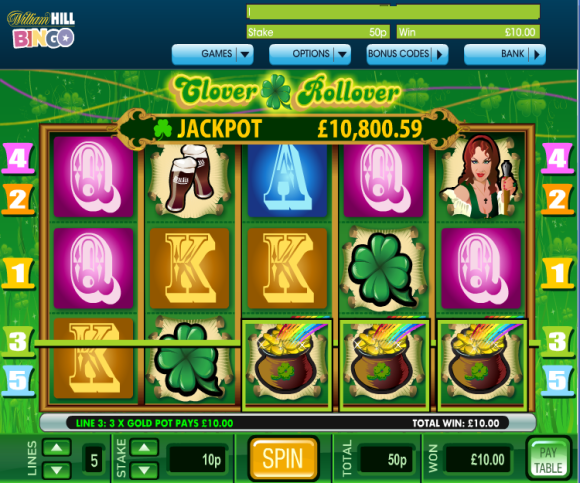 Latest Winning Update: 07/01/12 – Here we go for 2012. 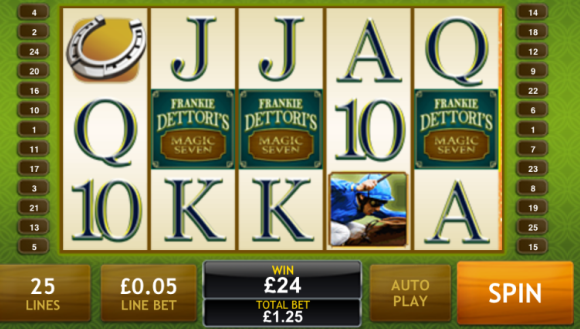 Risk free tenner doubled up. We are off and running again! 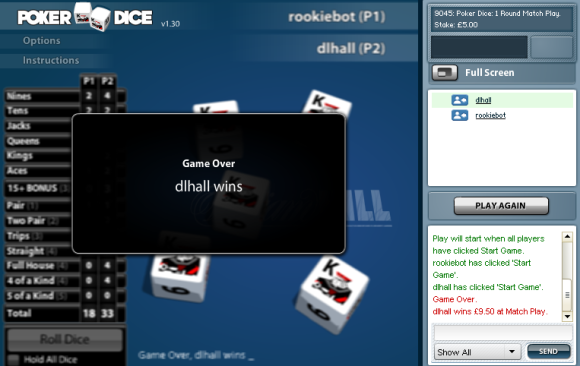 These were all risk free offers i.e. 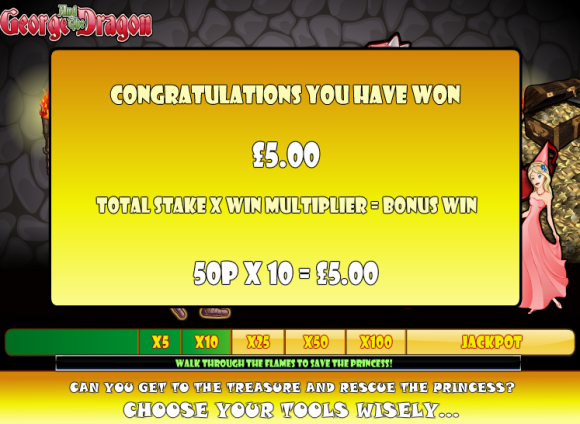 stake £5 or £10, if you lose get the stake back, if you win you keep it all, perfect! 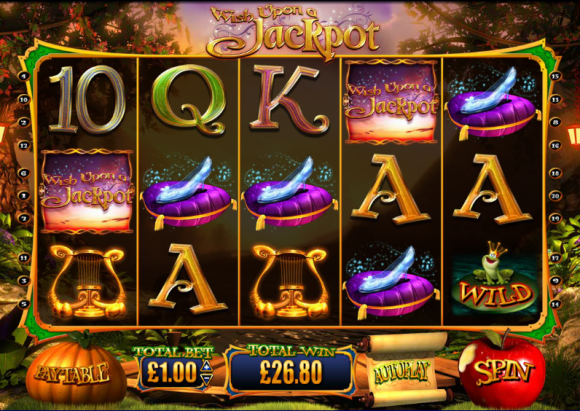 So in an attempt give everyone the chance to have a few winning screenshots of their own, we will be publishing as many of the offers that come to light. Some are invitation only and some are open to all but like we always say, you have to be in it to win it ! So if you have an account already then you are all set for some risk free action. 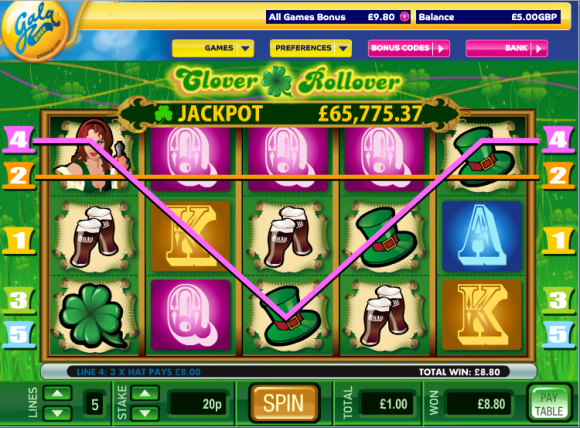 If not, then you can bag a free £25 sign up bet too. Of course we have it all covered in Oddsmatcher so finding a match to lock in more risk free profits could not be easier. Then you too can join in all the risk free gaming fun! And please feel free to send us your winning screenshots, we will be more than happy to share the love and feature them on the site and we will keep posting ours up too. 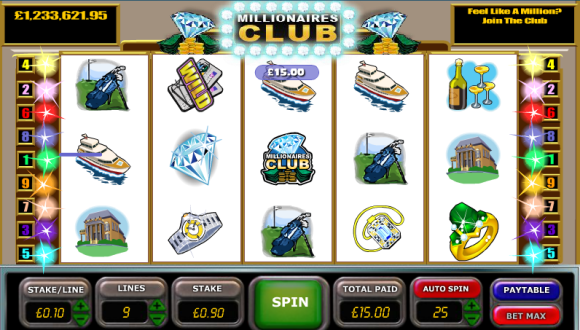 So here we will start to add the offers as we get them. Easiest way is to specify the location on the site (casino, vegas, bingo etc…. ), offer details, expiry time and access level. Some access will be for all and some by invite only (you need to login and check the internal messages on your account to see these as they are not always emailed out), good luck and enjoy the free offers. Remember you need to OPT-IN to each offer before you start to play. Full details will be in your invitation or on the link on the site. Here’s the latest list of the offers…. We smashed it! 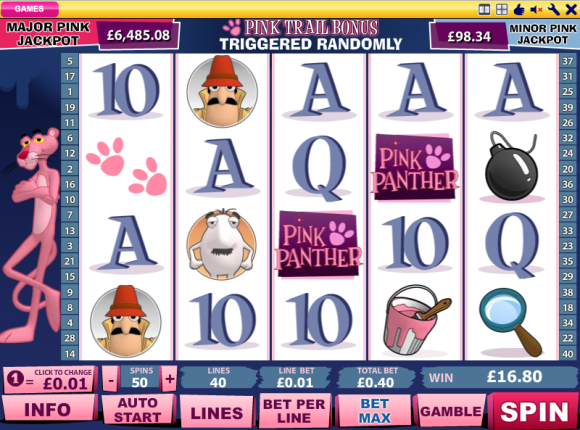 The £2012 profit target is gone as we have made over £2100 risk free profit in the last 12 months. Love it! 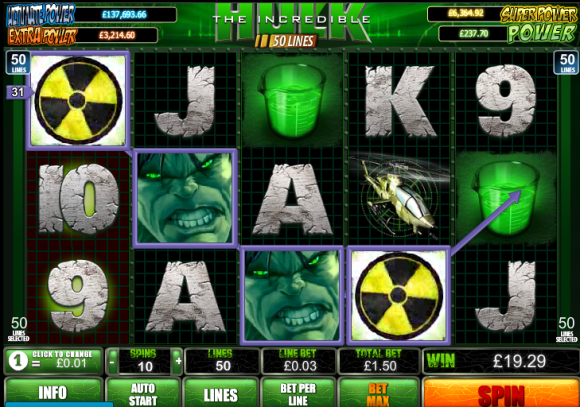 Well you’ve gotta be in it to win it so how about a free shot at what is sure to be a massive prize. 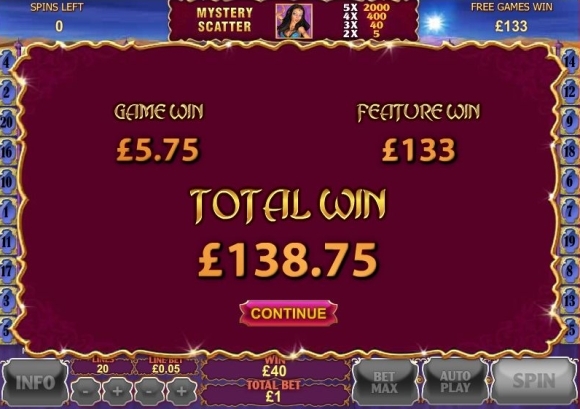 Yes thanks to our friends at Gala Bingo everyone can join in for a free game of bingo the day after the World Cup Final with the chance to scoop a pretty decent prize. Look…. 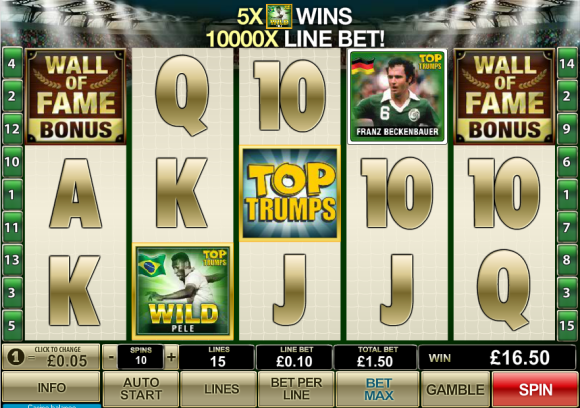 Enjoy all the thrill of Brazil at GalaBingo.com this summer – we’ve got footy fun and scores of world-class winning deals! 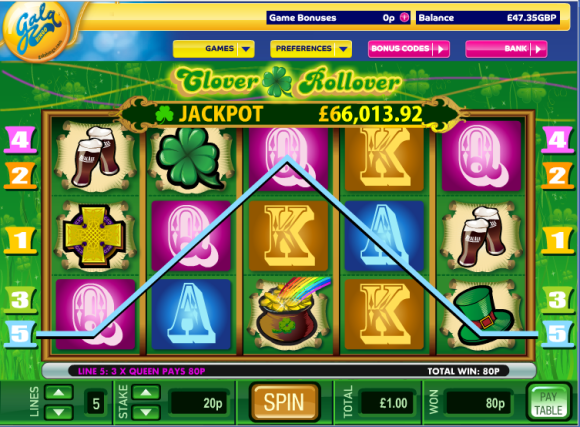 As the excitement builds in Brazil, so does the Goal Digger Jackpot! 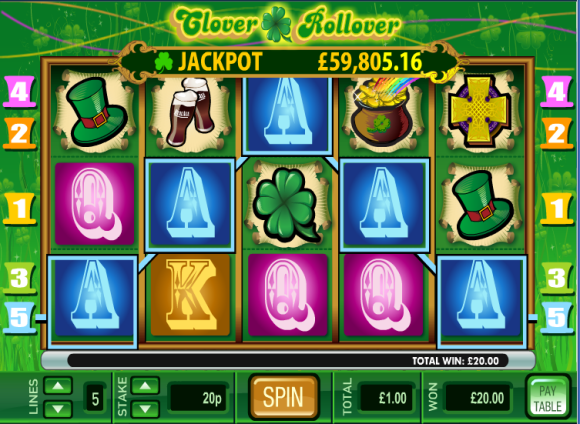 So if you have opted in and been playing along with our free fivers offer then you will have already qualified no doubt. If not then there is still plenty of time to get involved. Just click below to get signed up and ready for the big game. 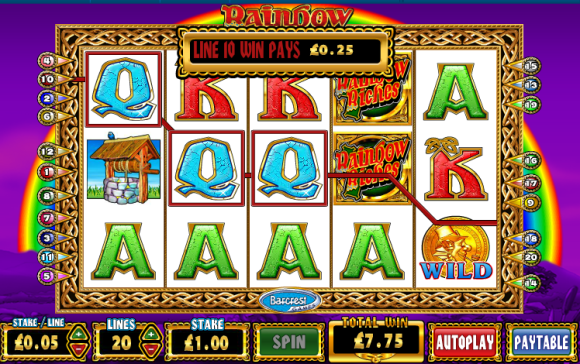 This promotion is open GalaBingo.com players who are 18+ and resident in a country where the promoter accepts customers. 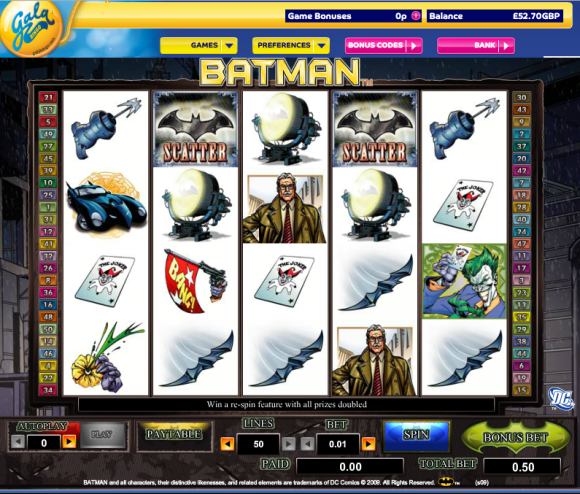 In order to be eligible for this promotion, players must opt in. 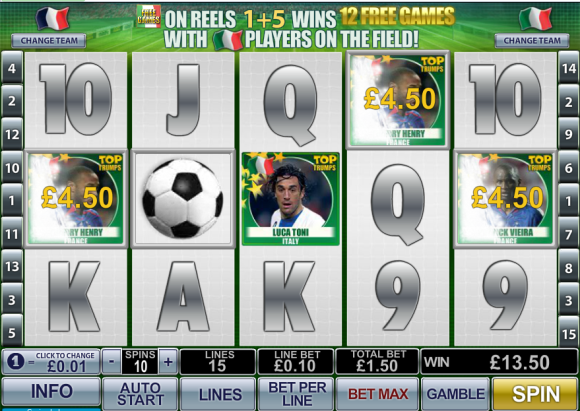 Players can opt in on PC/Laptop or by texting GOAL + Username to 83555. The Goal Digger Jackpot fund will increase pending scores of teams in the World Cup from Thursday 12th June to Sunday 13th July, 2014. 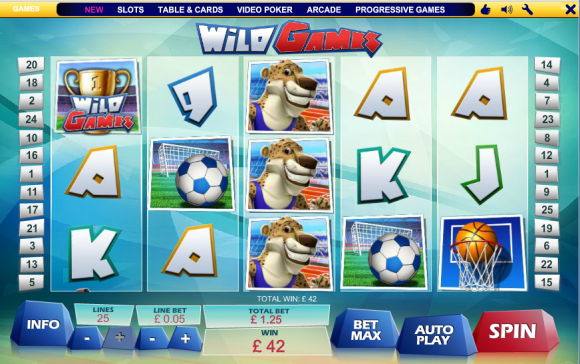 For every goal scored by England, Gala Bingo will add £200 to the prize pot and for every goal scored by a team other than England, Gala Bingo will add £50 to the pot. 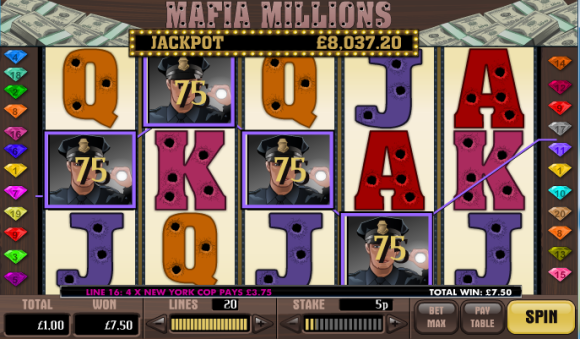 Penalties and goals scored in extra time will not count towards the Jackpot fund. 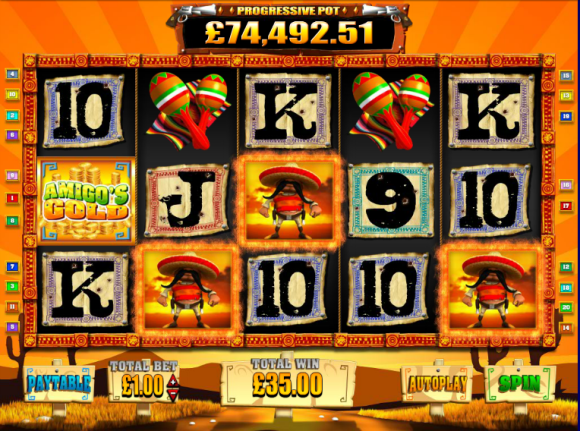 Players will play for the total Jackpot at 22:00(UK time) on Monday 14th July in the Margarita room. 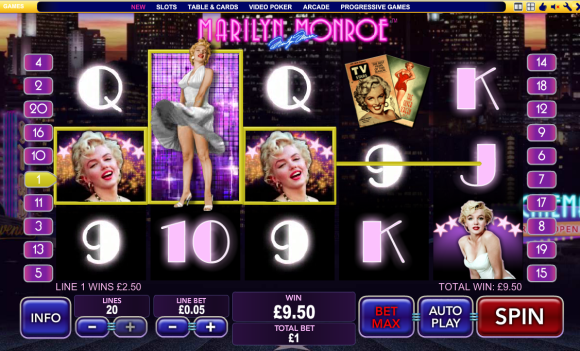 To qualify for this bingo game, players must spend =>£10 on any bingo games, spend =>£10 on any slots and games=>£10 on any flutter bets from Tuesday 10th June to Sunday 13th July 2014. 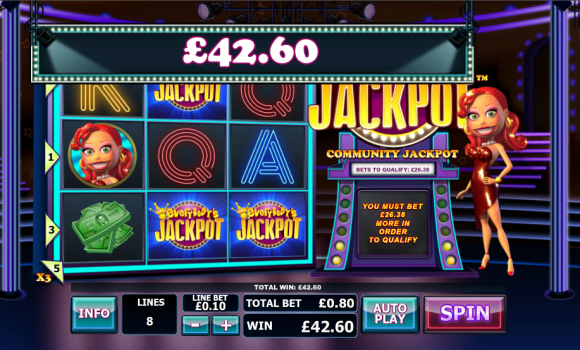 Jackpot will be paid out in combination of cash for 1L, 2L and FH and bonus funds for 1TG, 2TG, however the promoter reserves the right to change how the Jackpot is paid out during the promotion period. General and Specific T&Cs apply. 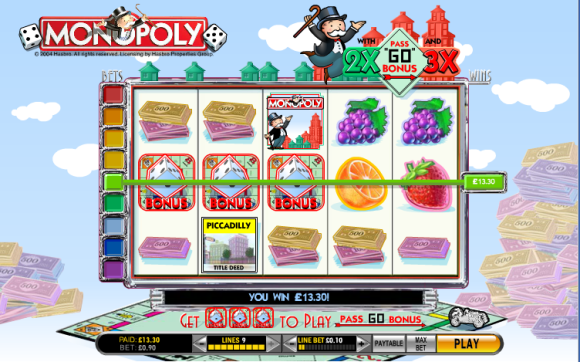 Deposit £10, Get £30 to Play PLUS Enjoy a £10 Love2shop voucher! 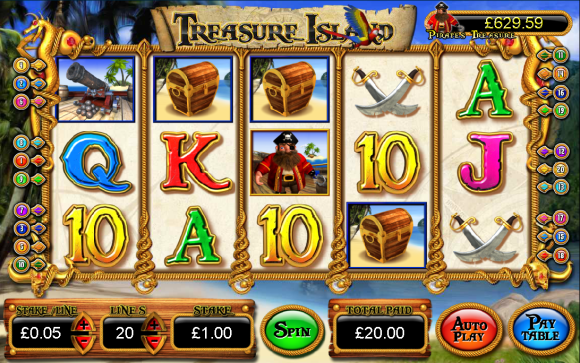 Deposit £10 today and you’ll get a fantastic £30 to play! Plus, for a limited time only, we’re giving you a £10 Love2shop gift card to spend! 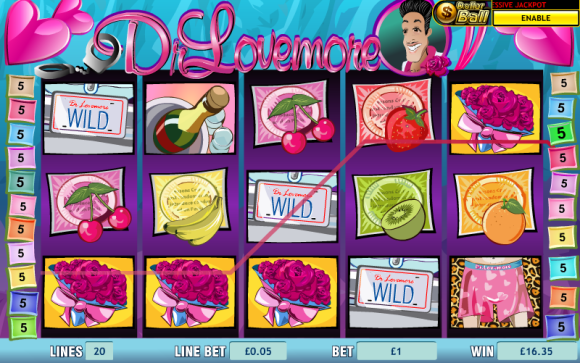 Simply register, make your first deposit of £10 and get playing today and we’ll pop your Love2shop gift card in the post! 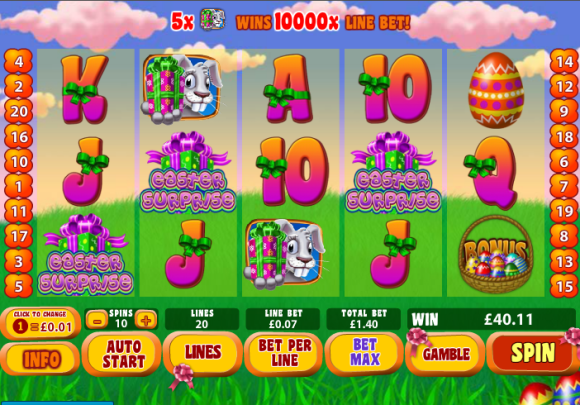 Join the fun and treat yourself with Sun Bingo! 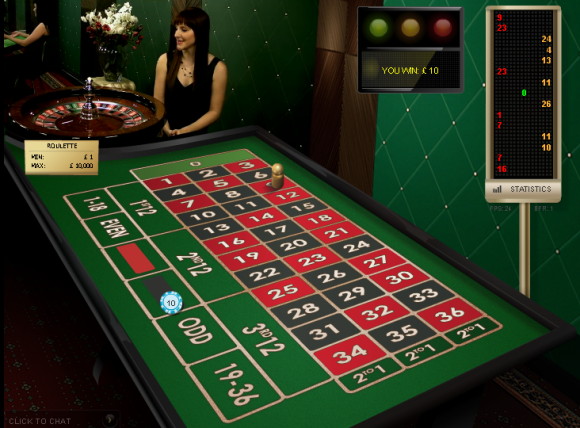 • Choose bingo rooms which have a relatively low number of players. 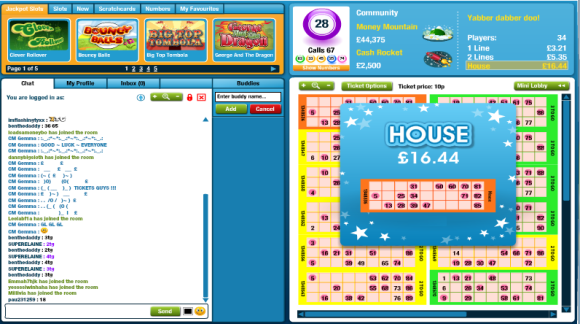 When I signed up I made £15 overall profit playing the one of the Bingo games at a time when there were only 6 other players so naturally my chances were greatly increased. Obviously evenings and weekends are busier times so you can only do this when it is practical to do so. 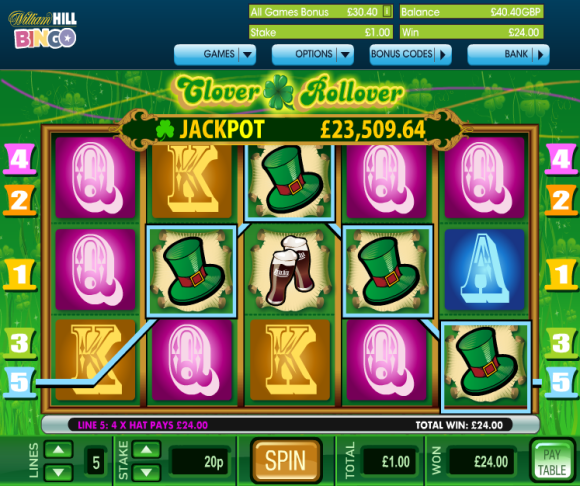 We have had some big winners in the past with these types of offers well worth a go. Very pleased to report that we have uncovered another great site with some fantastic offers that you might not expect to see. 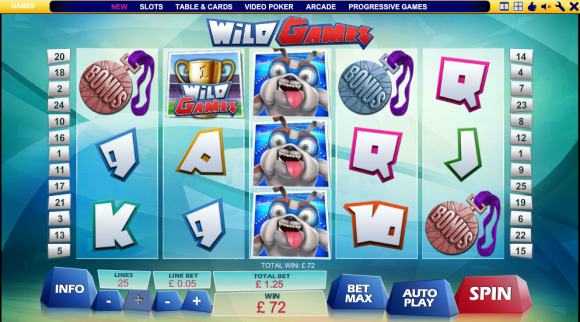 The site in question is Gala Bingo but it is not all 2 fat ladies and clickety clicks there as they have some excellent Slots and Games areas, with some very regular offers too as part of their Game of The Week promotion. 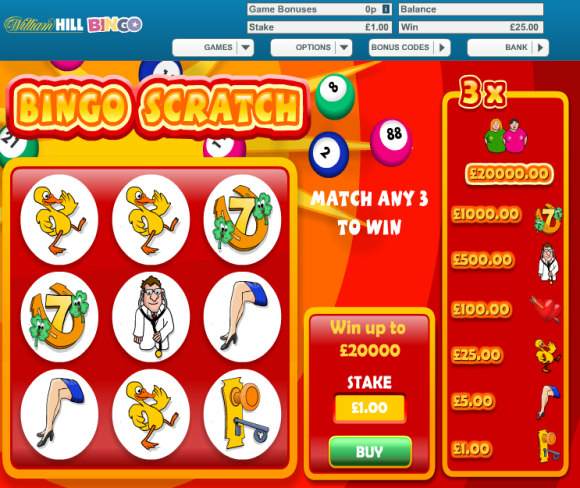 Breaking News: We are delighted to announce that we also have an EXCLUSIVE new sign up offer on to play bingo with Spend £10, get £50 free! 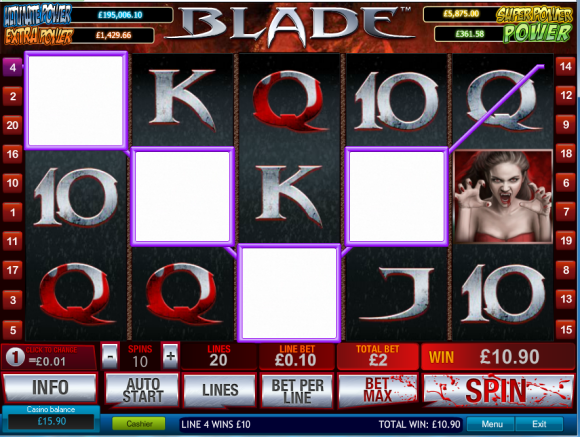 Take home a £10 bonus – every Tuesday! 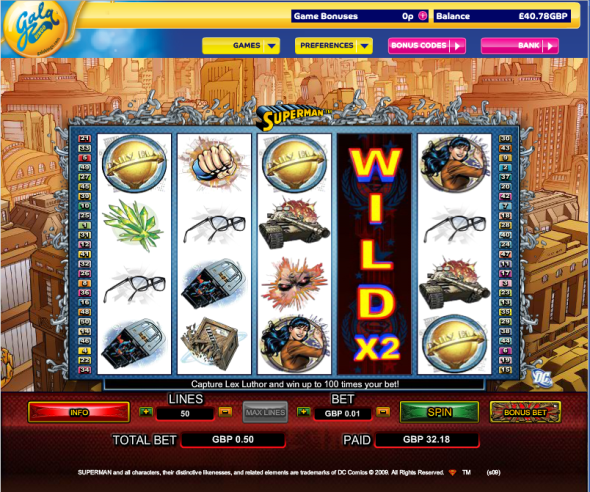 Deposit £10 or more using promotion code TENNER. 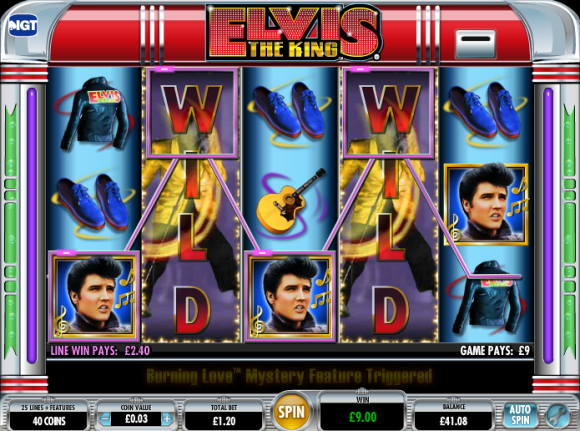 Your Tuesday Tenner – don’t leave Vegas without it! 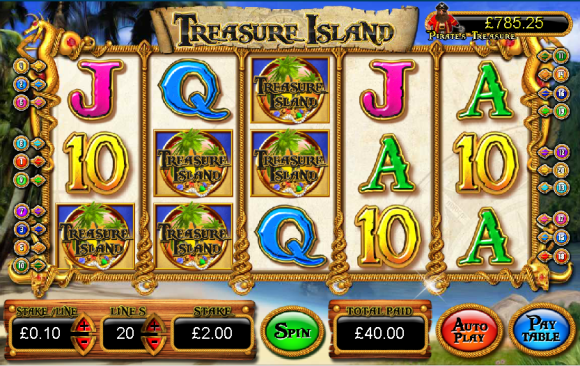 Because every Tuesday you can collect a £10 bonus with our Tuesday Tenner! 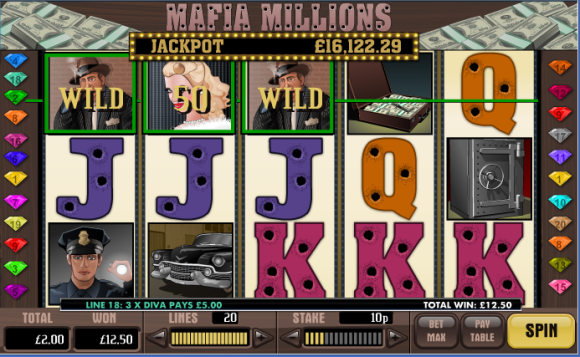 Make £100 worth of bets on any Slot in Vegas and get £10 in cash! You have a whole 7 days to earn your bonus! 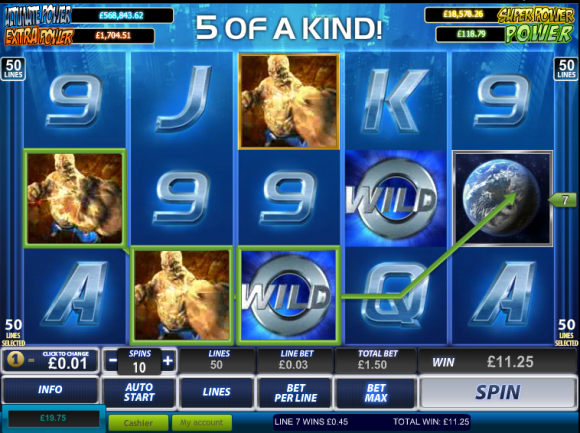 Get an instant win with a spin! 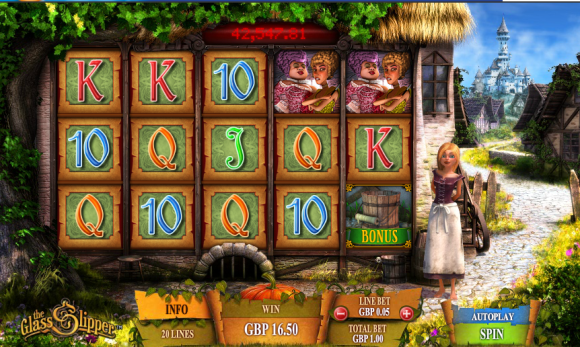 You’ll receive a £10 Games Bonus* when you make your second deposit! 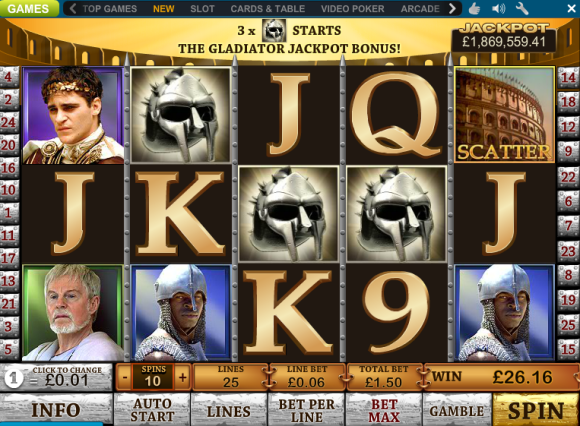 What are you waiting for… let the games begin! 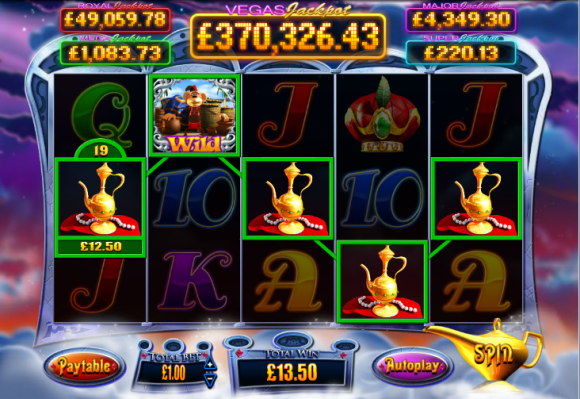 Here’s a selection of our previous wins…. 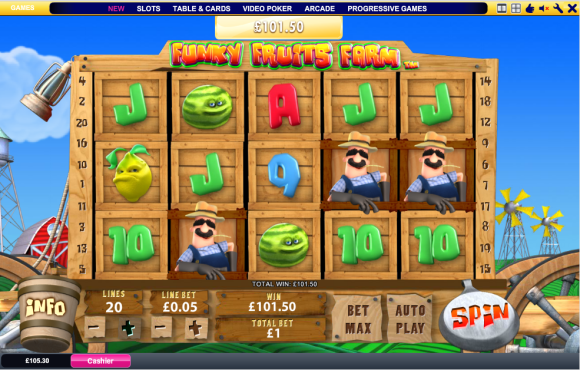 Update – 17/09/13 – Funky Fruits! Now That’s What I Call 5 A Day. Boooom! 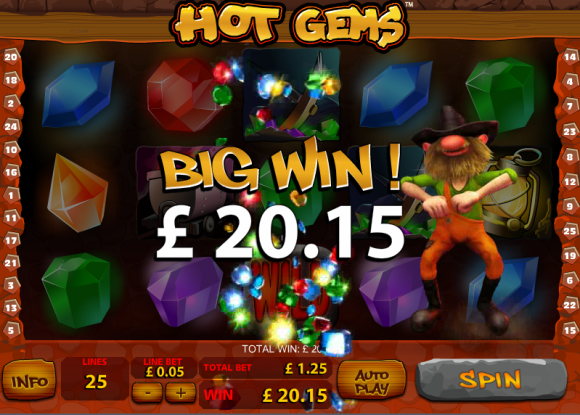 Update – 22/07/13 – Hot Gems Indeed. 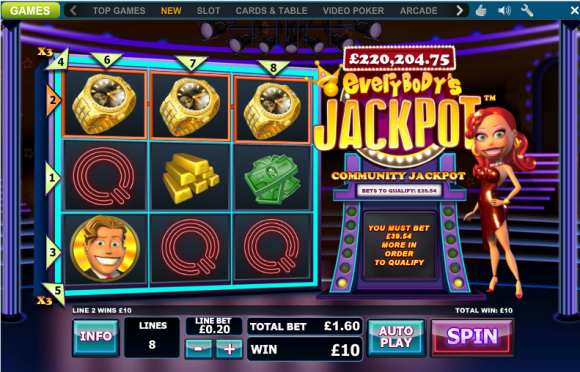 Nice little profit for some risk free spins! 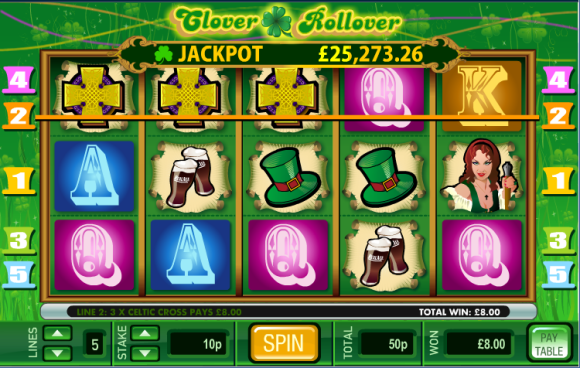 Update: 08/07/13 – No winner for us this week but bet72er Richard spun in this beauty! 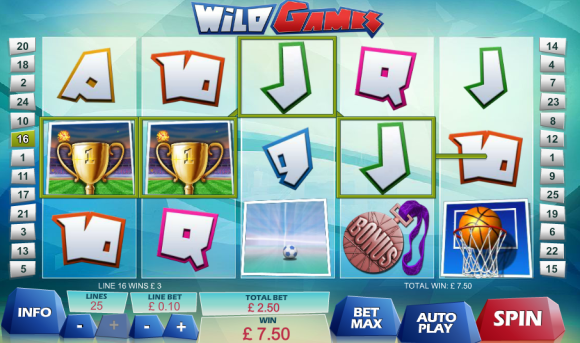 Update: 29/05/13 – Wild Games Indeed! 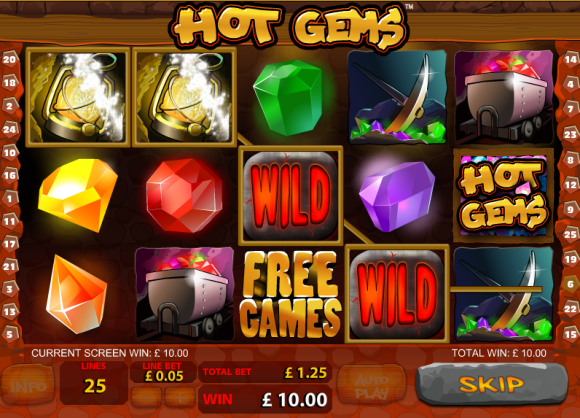 Update: 14/05/13 – Hot Gems Indeed! 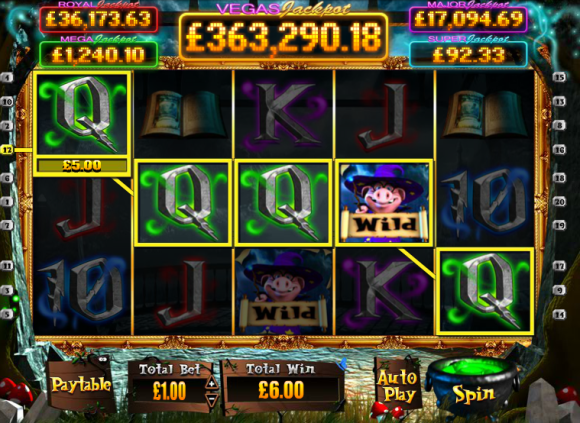 Update: 06/05/13 – Just Turned Over The Vegas Refund From Last Week. Nice! 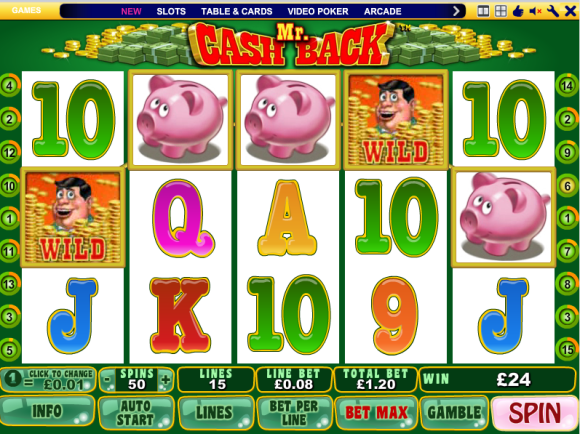 Update: 29/04/13 Mr Cashback Indeed! 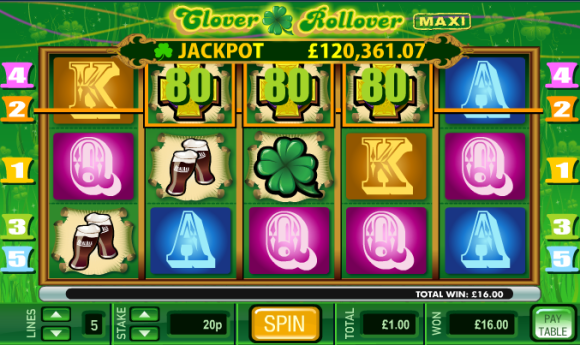 Nice start to the week with a £29.70 risk free winning spin! 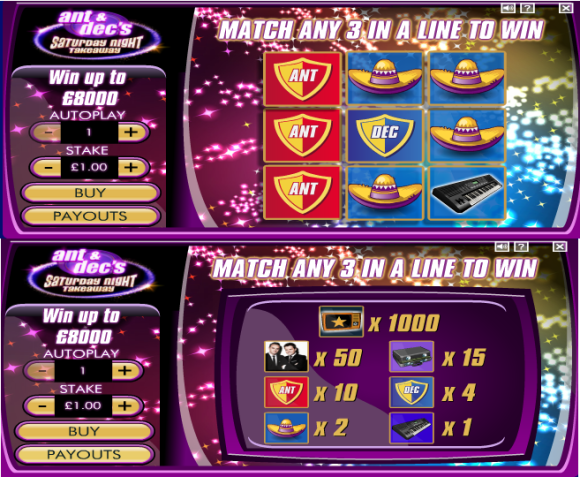 Ended £5 up with the first £20 bonus to come thanks to 3 Ants on the Saturday Night Takeaway scratchcard, nice! 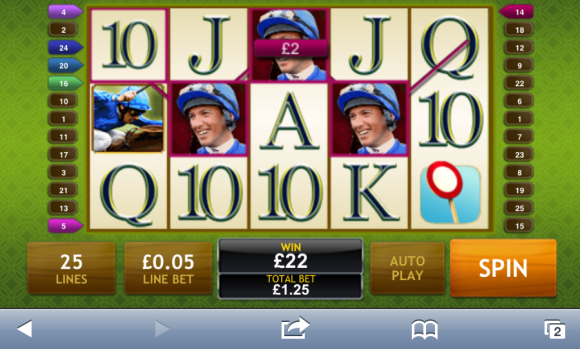 Thanks to a couple of nice wins like this…. 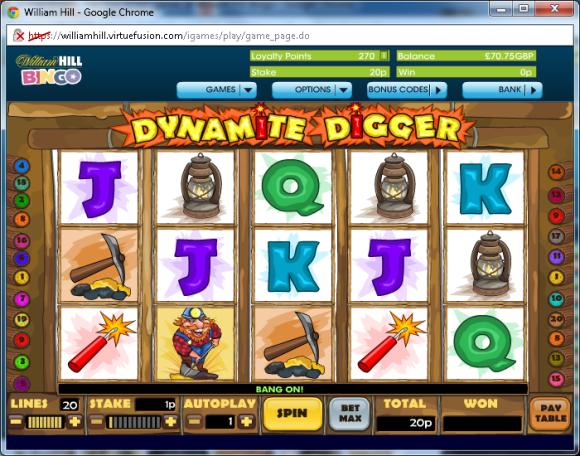 Update: 02/02/13 – Digger! 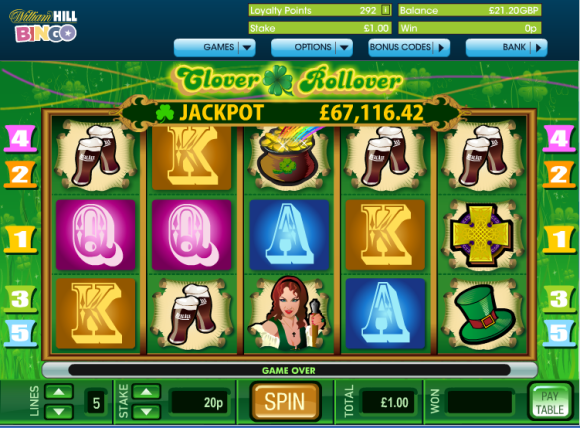 £6 up turning over the deposit & another £14 from the bonus. Lovely! 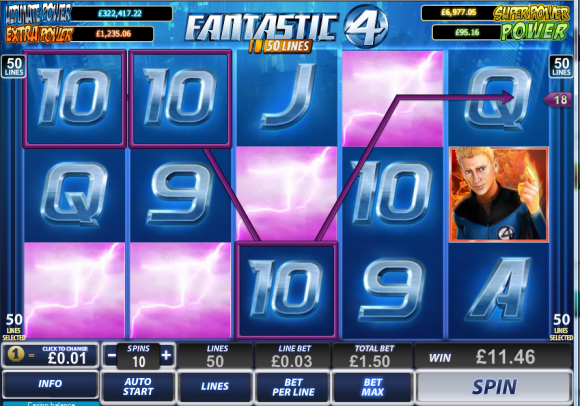 Update: 31/01/13 – Hoff-tastic. 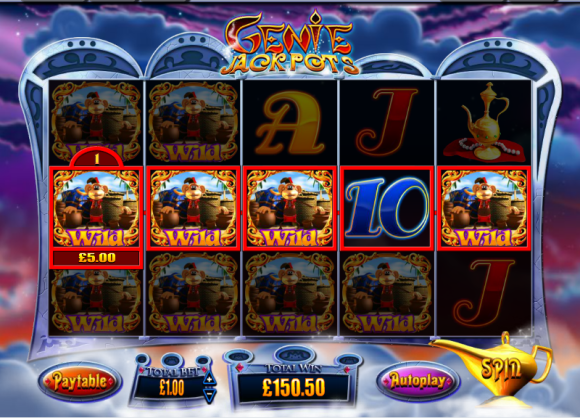 No loss on the scratchcard then wagered the bonus over on slots and made a tenner! 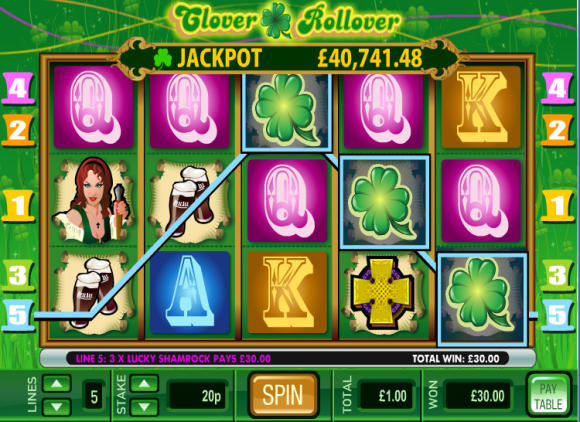 Update: 22/01/13 – A cheeky tenner made on this one too! 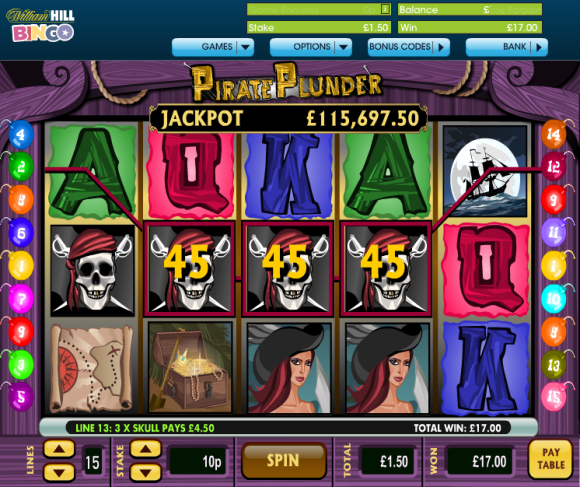 Update: 20/01/13 – More Risk Free Proits. Love It! 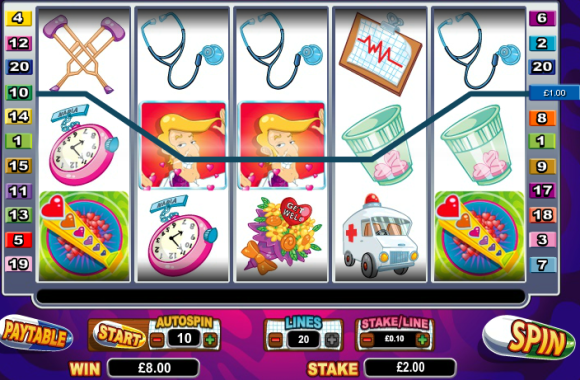 Plus when you sign up you can get a first deposit bonuses to play bingo with (we have an exclusive bet £10, get £45 free for that) and then you can grab another 100% matched bonus to play on over at Vegas too (with the option to opt out of these sign up bonuses if you just want to goto the weekly offers above instead). 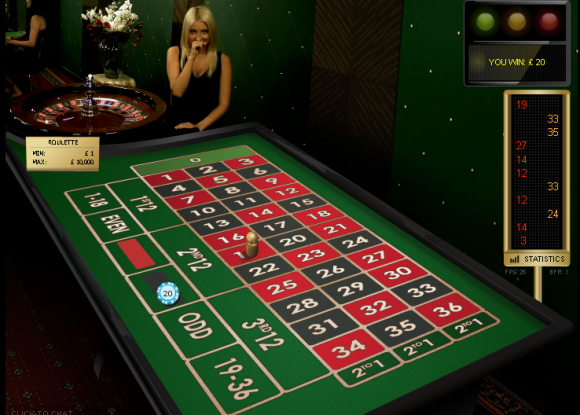 • Choose bingo rooms which have a relatively low number of players so your chances are greatly increased. Obviously evenings and weekends are busier times so you can only do this when it is practical to do so. 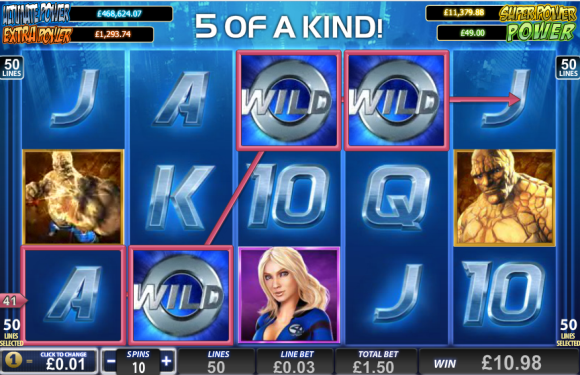 • Watch a few games first if you have the time, if you see the same name(s) cropping up as winners, chances are they are using the strategy above so it will be harder for you to win, so maybe best to look elsewhere! 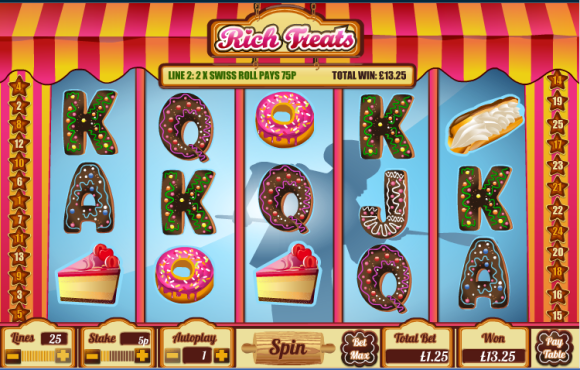 Yes it’s not all about the football pools with these chaps as they have one of best casino sites out there and an absolute stack of offers for July. Lovely! 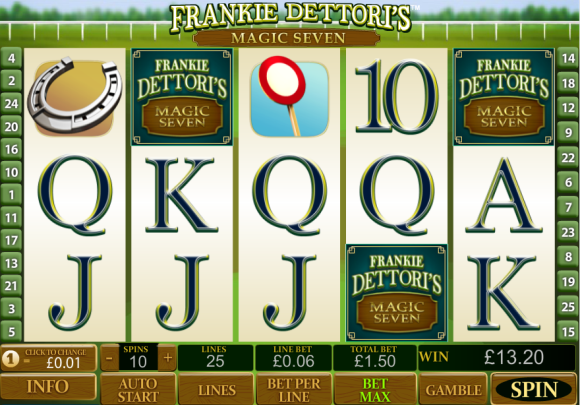 And to kick off you can get a tenner for, well, absolutely nothing, thanks to their brilliant no deposit sign up offer. 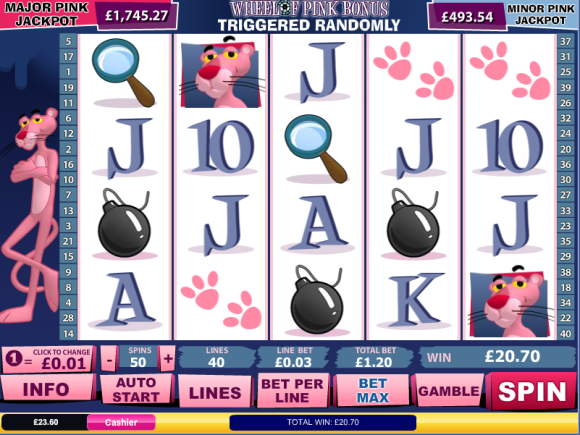 So you can have a play on the site totally risk free. 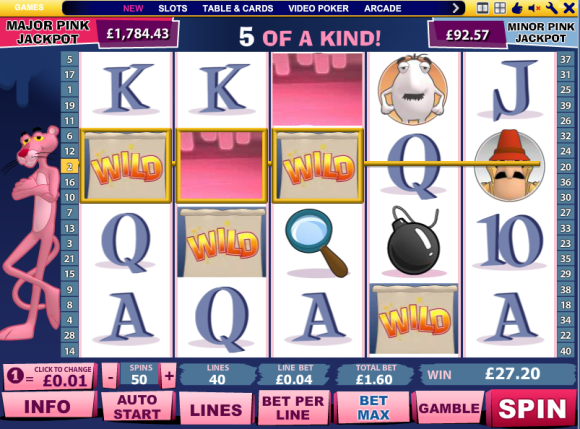 Including this bunch of daily ones which are available EVERY week in July. Here are the offers for 29th July onwards…. 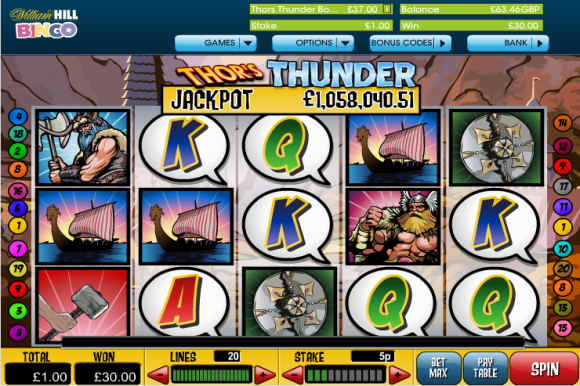 Wager £50 or more on our Thor Slot on 22nd July 2013 to receive a guaranteed bonus worth between £5 and £200. 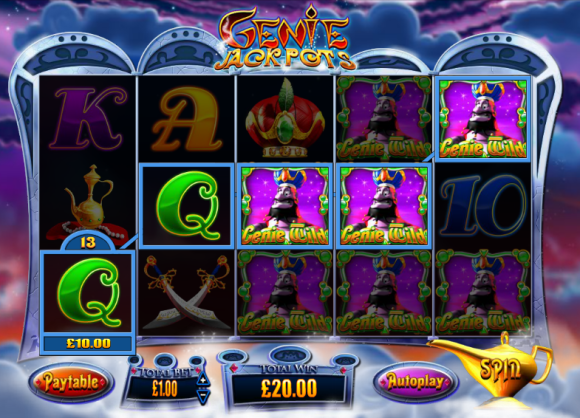 Bonuses can be claimed via support from 13:00hrs Tuesday. 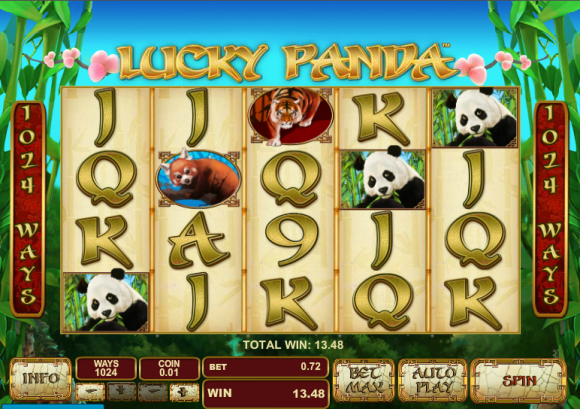 Every Tuesday in July Vernons is offering a 100% refund bonus on one of our most popular games. 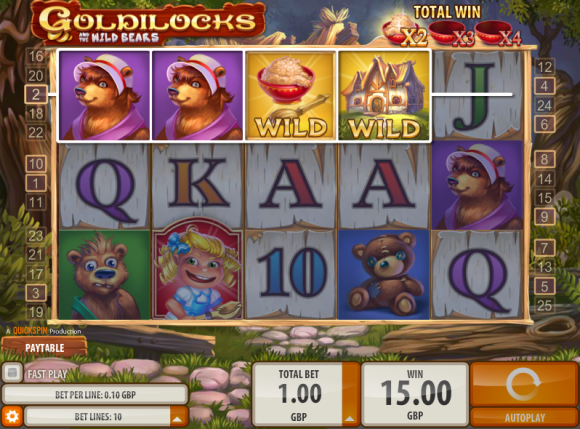 This week we have chosen Gold Rally. 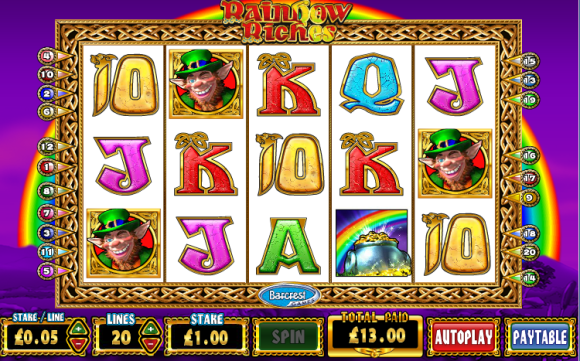 Play on Tuesday 30th July 2013 and if you don’t find the gold we will refund your losses up to £10. Refund bonuses can be claimed via support from 13:00hrs Wednesday. 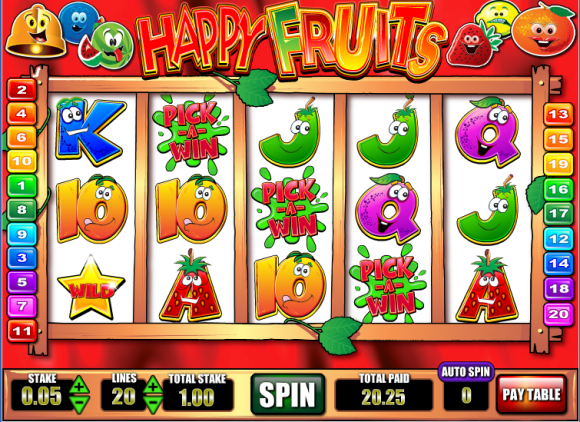 Wednesday nights in July at Vernons will have you smiling with our Happy Hour reload bonuses. 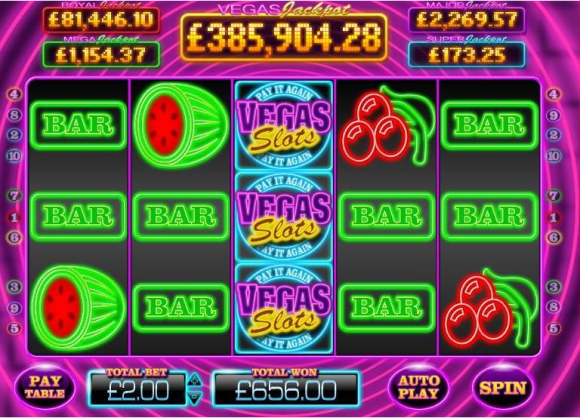 Deposit between 20:00-23:59 on Wednesday 31st July 2013 and you could claim a 25% bonus up to £100 via support to spend on any game at Vernons. 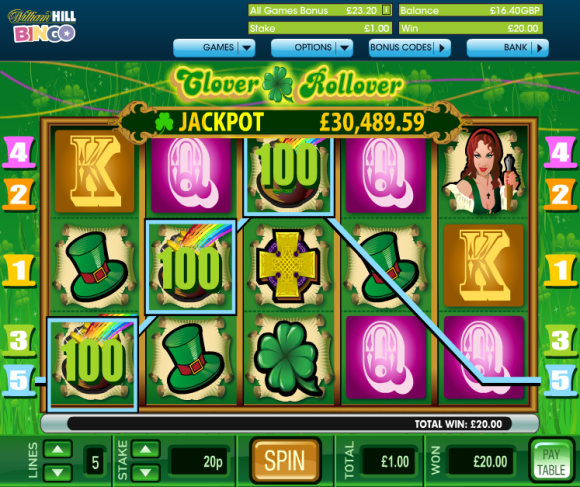 With three opportunities to claim, a huge £300 Bonus Fund could be yours! So if you’re bored watching the news, taking in the rays from our current heat wave or England dominating the Aussies in the Ashes, remember Wednesday Evenings at Vernons have the excitement you crave. Have you downloaded the Vernons Casino Software? If you have, you know that the Casino experience is enhanced with a wider selection of games available. 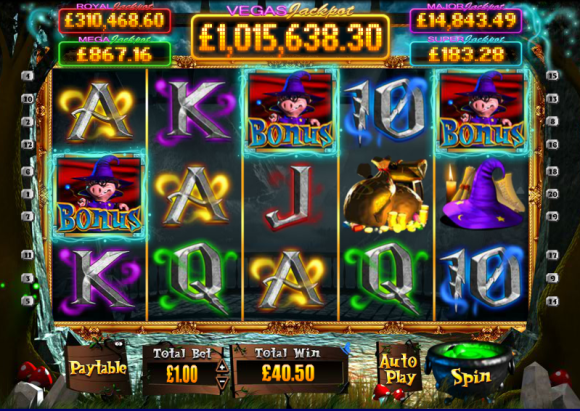 If not, Vernons is offering 10% refund on losses up to £100 on all slot games exclusively for those who play on our download software. Play on Thursday 1st August and if you don’t win on the reels your refund can be claimed via support from 13:00 hrs Friday. You haven’t experienced anything until you experience it live’ is a well known saying when referring to the football match where the goalkeeper scores an injury time equalizer or the lead singer crowd surfs to bring a gig to a close! 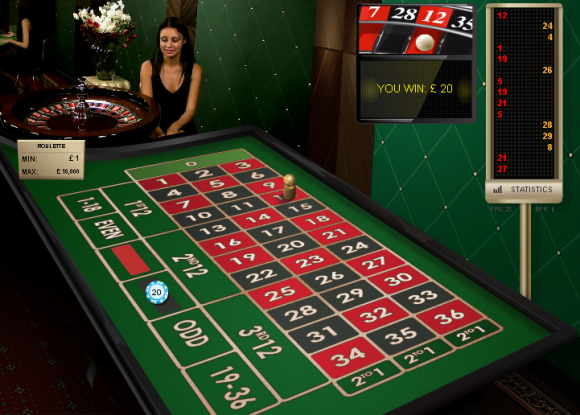 The same is true for Live Casino at Vernons and every Friday in July £10 Bonuses will be awarded to the first 1,000 players who wager £100 or more on Live Casino Roulette win or lose. 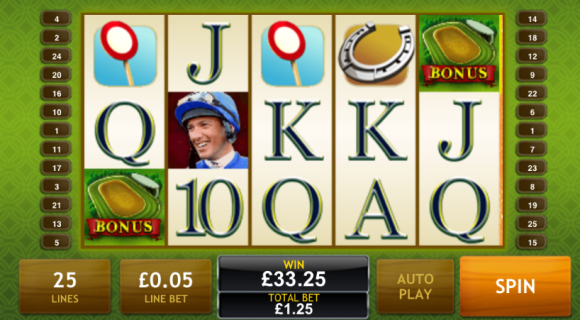 Reach the wagering and claim your £10 bonus from support straight away! 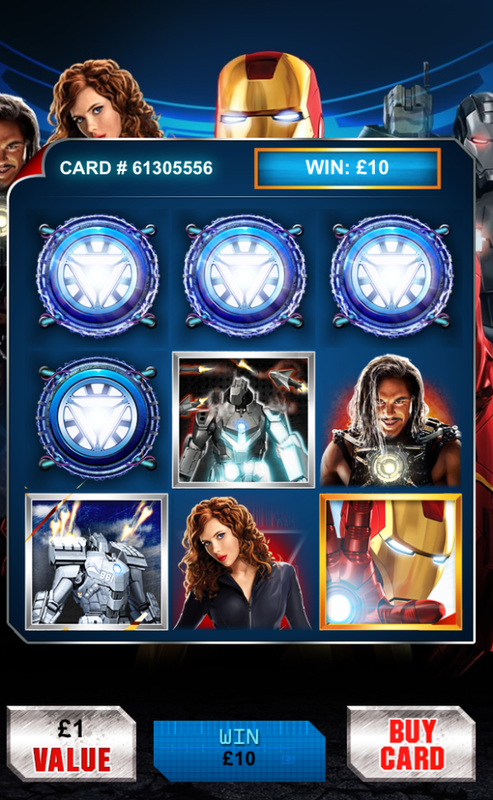 Played the Marvel Monday offer, very nice indeed. 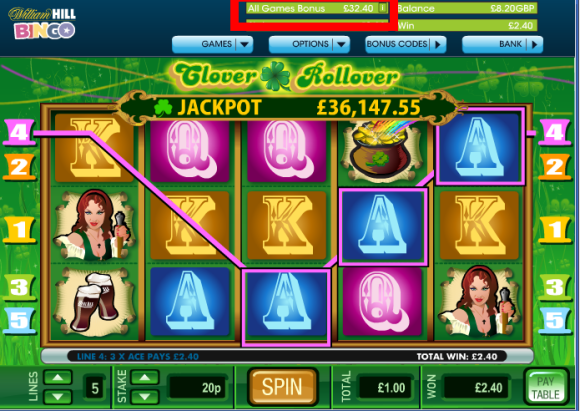 Ended £125 up with the mystery bonus to come. 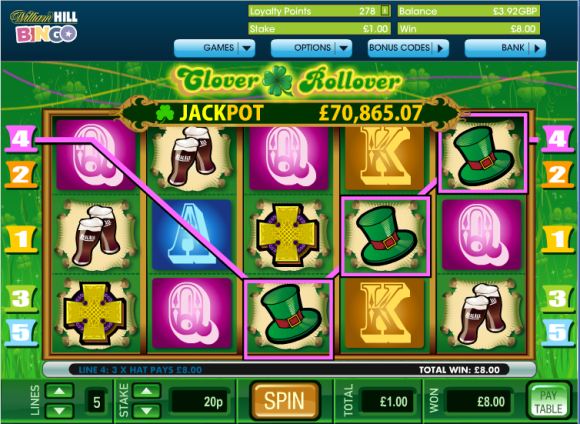 Thanks to a couple of very nice winning spins like this. Lovely! Not bad eh? 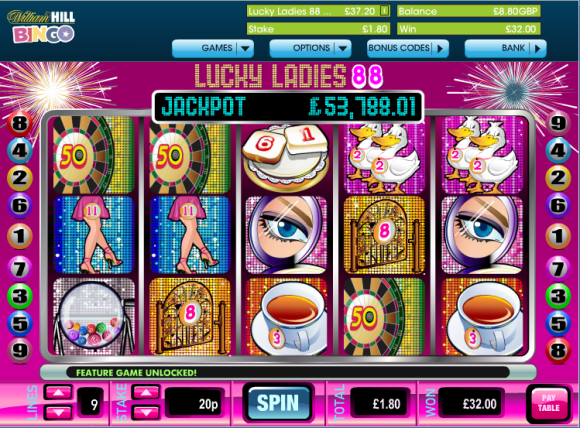 So only one thing to do, click below and start accumulating all those bonuses….